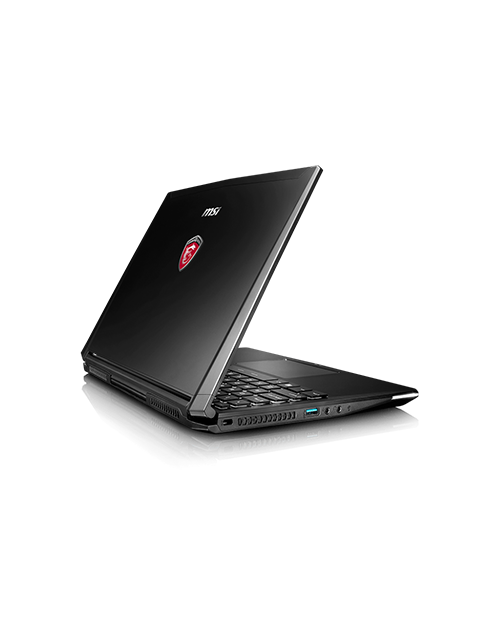 6th Generation Intel® Core™ i5 processor Windows 10 Home 8GB Memory NVIDIA® GeForce® GTX 960M wit..
6th Generation Intel® Core™ i7 processor Windows 10 Home 8GB Memory NVIDIA® GeForce® GTX 960..
Alienware 13 Laptop with Intel i7 processor, NVIDIA GTX 965M graphics, and 8GB memory. 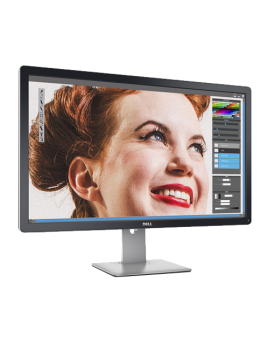 4K display! 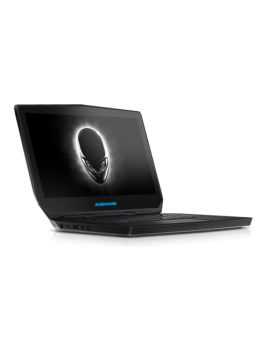 6th Generation Intel® Core™ i7 processor Windows 10 Home 8GB Memory NVIDIA® GeForce® GTX 965..
6th Generation Intel® Core™ i7 processor Windows 10 Home 8GB Memory NVIDIA® GeForce® GTX 970M wit..
Alienware 17 Laptop with Intel i7 processor, NVIDIA GTX 980M graphics, and 16GB memory. 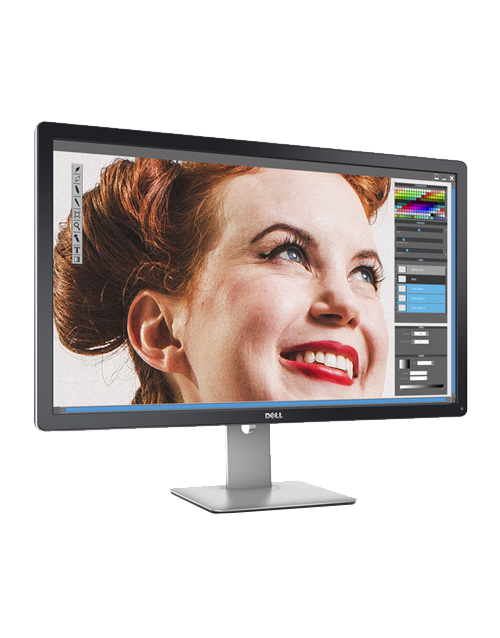 4K display! 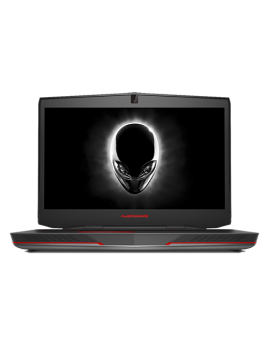 6th Generation Intel® Core™ i7 processor Windows 10 Home 16GB Memory NVIDIA® GeForce® GTX 980M wi..
6th Generation Intel® Core™ i7 processor Windows 10 Home 8GB Memory NVIDIA® GeForce® GTX 980M wit..
Alienware Area-51 4th Generation Intel® Core™ i7-5820K Processor (6-cores, 15MB Cache, Overclocke..
Alienware Area-51 4th Generation Intel® Core™ i7-5930K Processor (6-cores, 15MB Cache, Overclocke..
System Dimensions Height: 173.5mm - (6.831") Depth: 409.55mm - (16.124") Width: ..
Alienware Steam Machine The power of Alienware, the freedom of Steam. 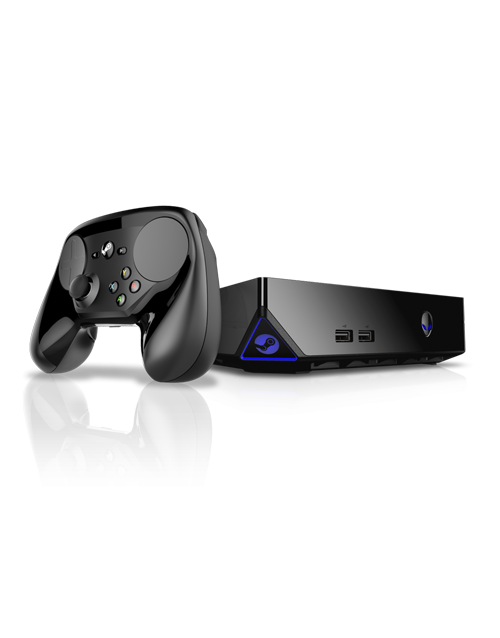 Powered by Steam: Valve br..
Alienware Steam Machine with Intel Core i5 Quad-Core processor, NVIDIA GTX 960 graphics, and 8GB memory. 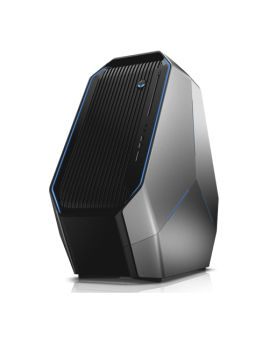 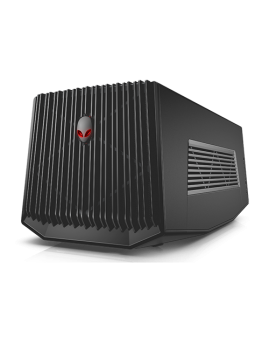 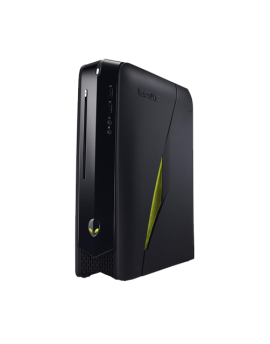 Alienware X51 with Intel Core i3 processor, NVIDIA GTX 745 graphics, and 8GB memory. 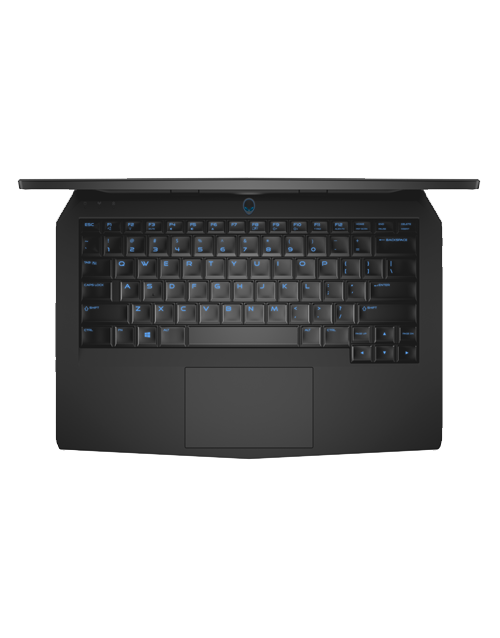 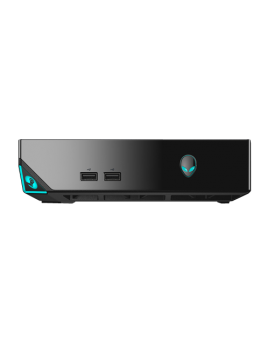 6th Generation Intel® Core™ i3 processor Windows 10 Home 8GB Memory NVIDIA® GeForce® GTX 745 with..
Alienware X51 with Intel Core i5 processor, NVIDIA GTX 960 graphics, and 8GB memory. 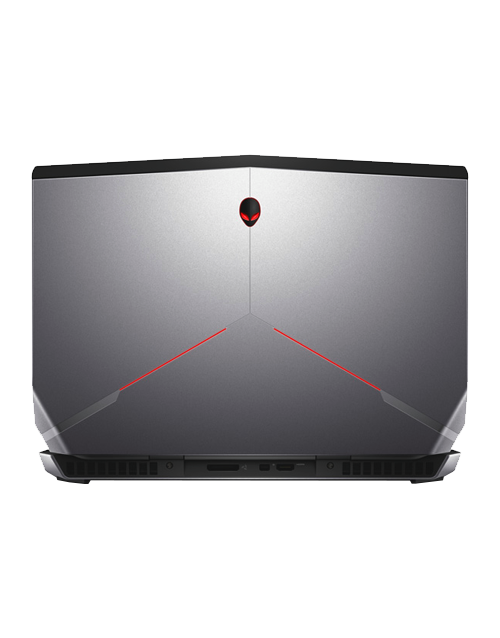 6th Generation Intel® Core™ i5 processor Windows 10 Home 8GB Memory NVIDIA® GeForce® GTX 960..
Alienware X51 with Intel Core i7 processor, AMD R9 370 graphics, and 8GB memory. 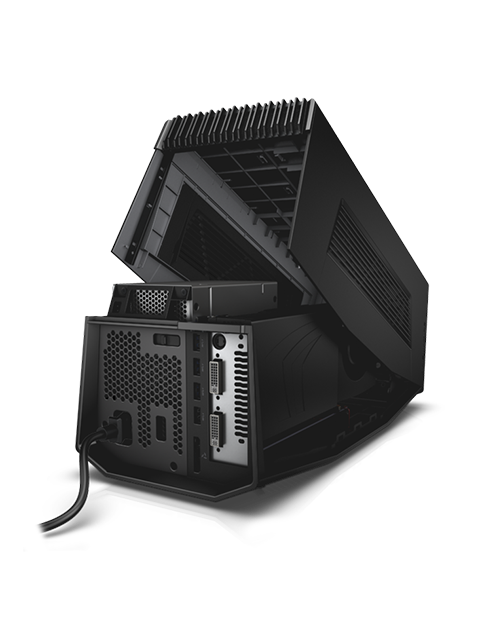 With Liquid Cooling! 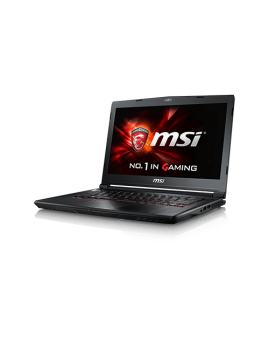 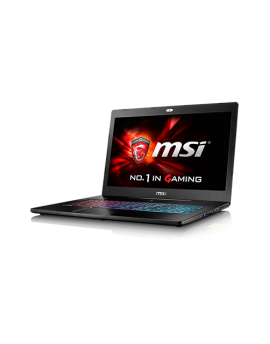 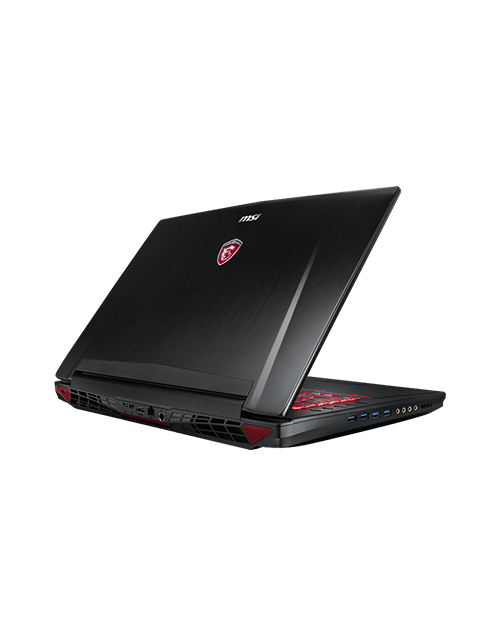 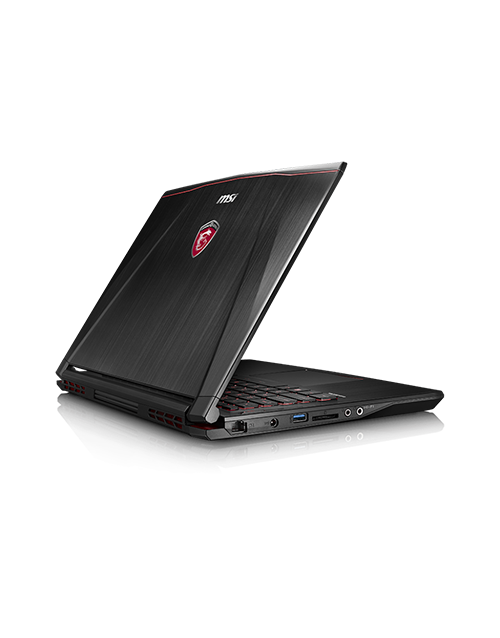 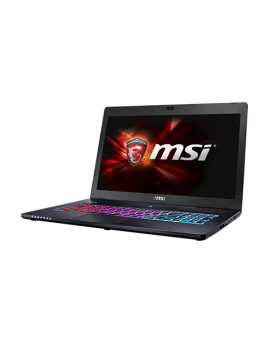 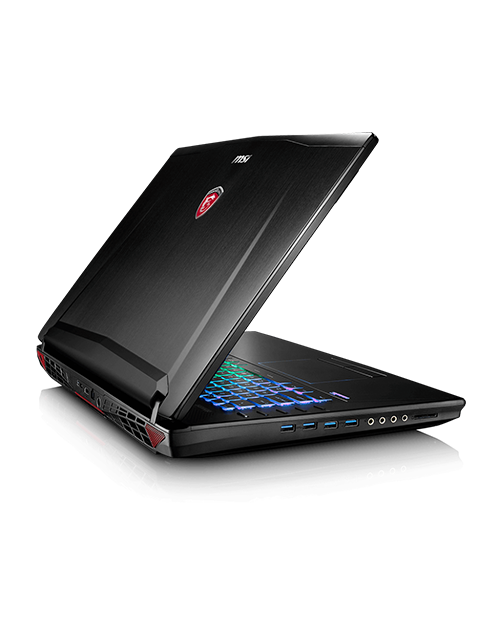 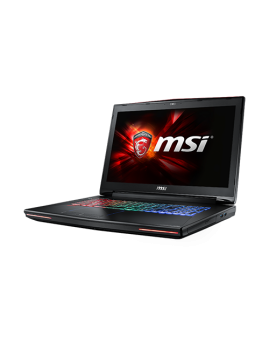 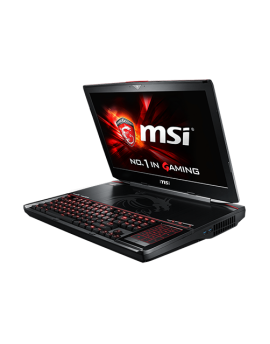 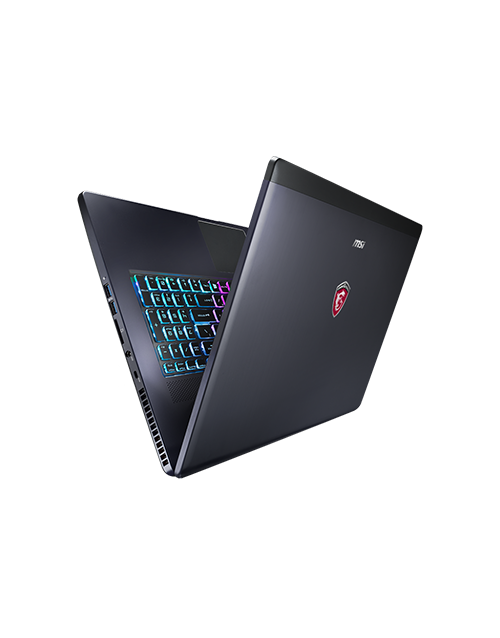 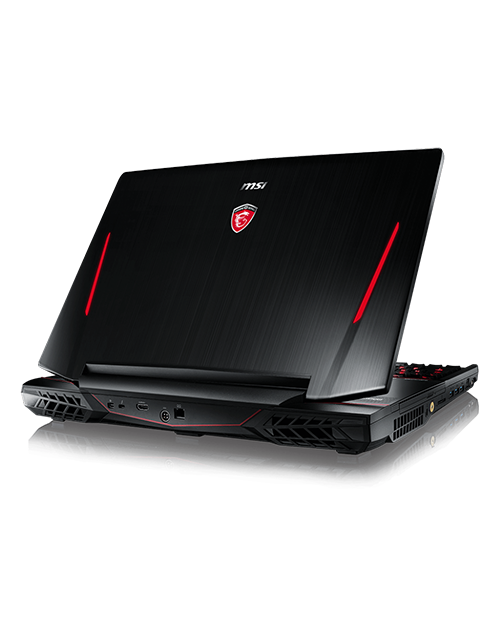 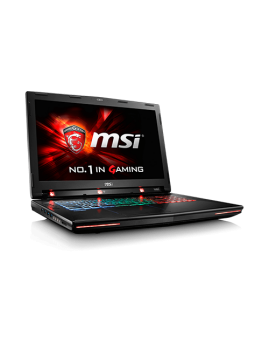 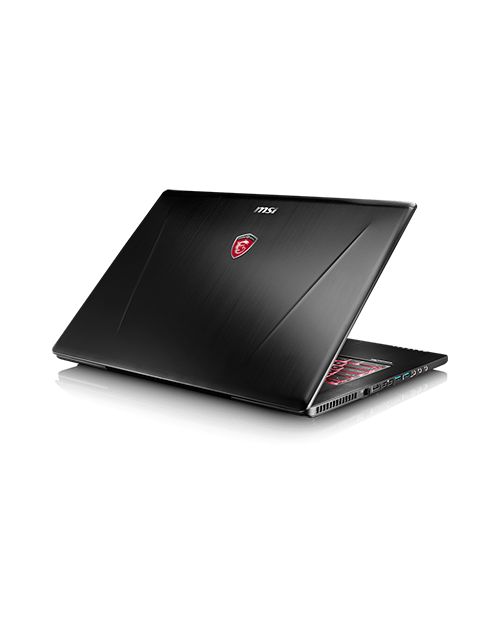 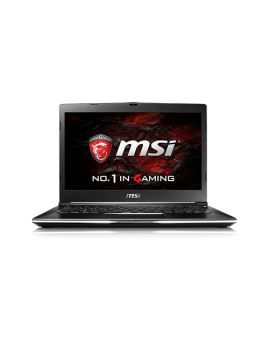 6th Generation Intel® Core™ i7 processor Windows 10 Home 8GB Memory AMD Radeon™ R9 370 with .. 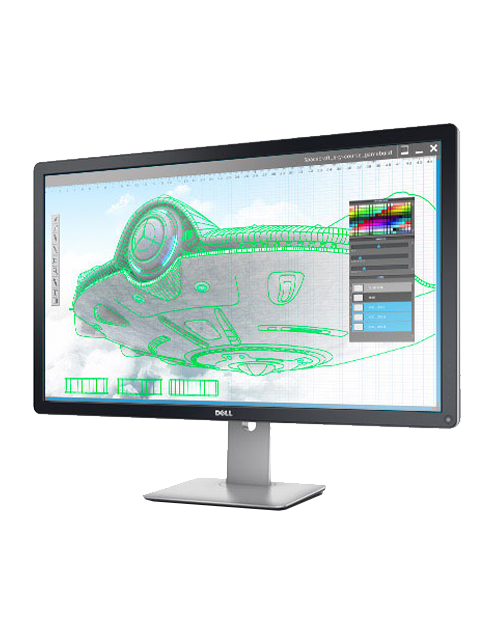 Exceptional screen clarity. 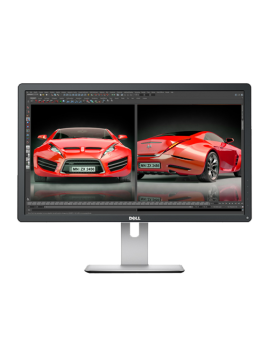 The DellTM 24 Ultra HD 4K Monitor – P2415Q is 60.47 cm (23.8") .. 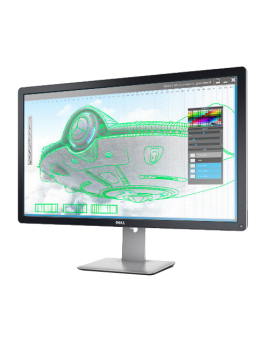 Exceptional screen clarity. 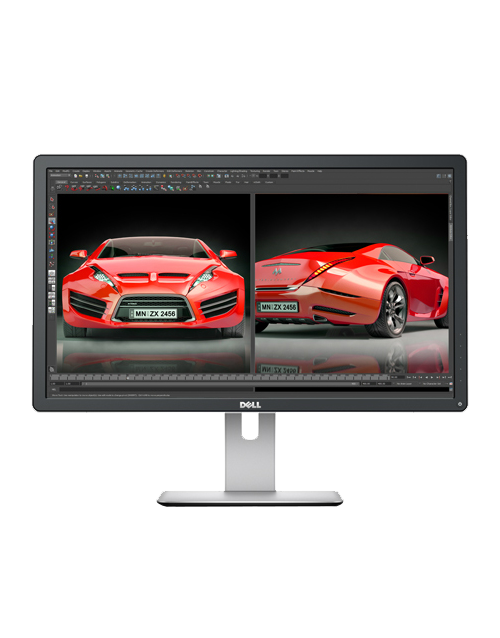 The DellTM 24 Ultra HD 4K Monitor is 68.47 cm (27") .. 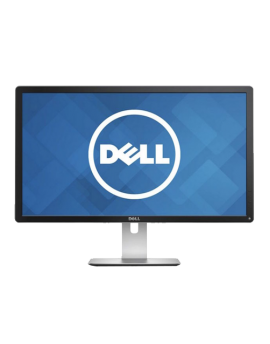 Discover amazing 5K clarity on the highest-performance DellTM UltraSharp display, featuring ov.. 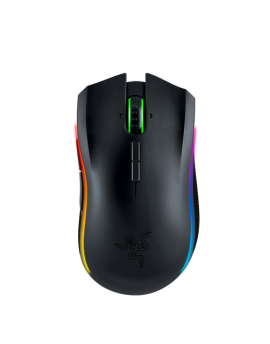 Ideal colour coverage. 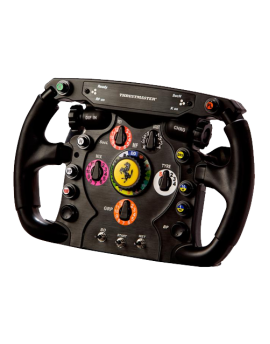 Incredible clarity. 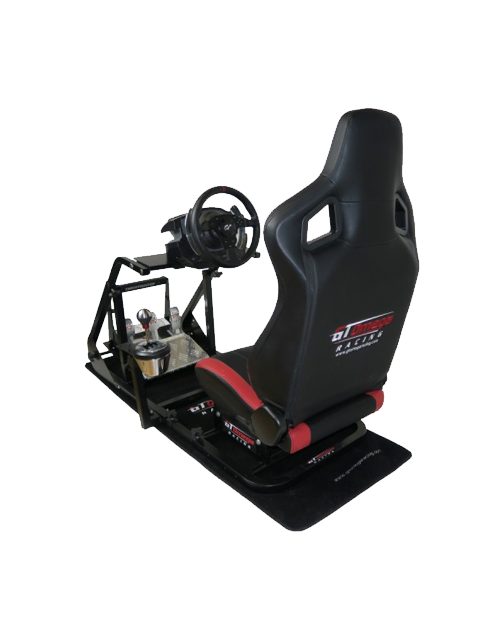 See your work in beautiful Ultra HD 4K resolution on o..
GT Omega ART Racing Simulator Cockpit - RS6 Seat OPTIOAL EXTRAS AVAILABLE: GT Omega Floor mat +£2..
GT Omega ART Racing Simulator Cockpit - RS9 Seat OPTIOAL EXTRAS AVAILABLE: GT Omega Floor mat +£2..
GT Omega Pro Racing Simulator Basic - RS6 Seat** ** PRE ORDER ONLY - ESTIMATED SHIP DATE 21/11/20..
GT OMEGA STEERING WHEEL STAND The GT Omega Steering Wheel stand offers a great solution for those..
Get the headset, two wireless controllers and two base stations enabling 360° room-scale motion-trac.. 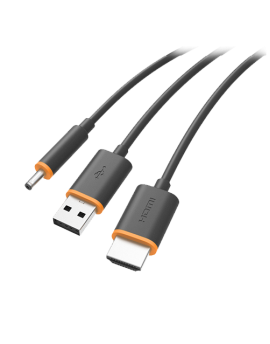 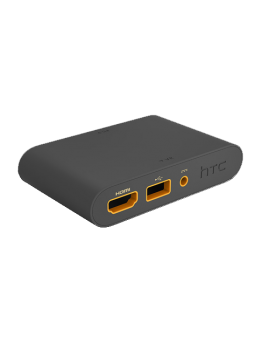 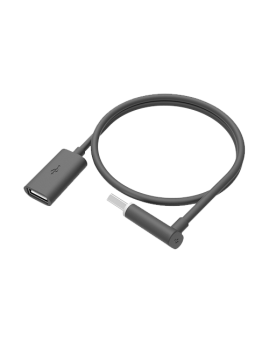 The 3-in-1 cable connects HDMI, USB and Power from the link box to the Vive headset. 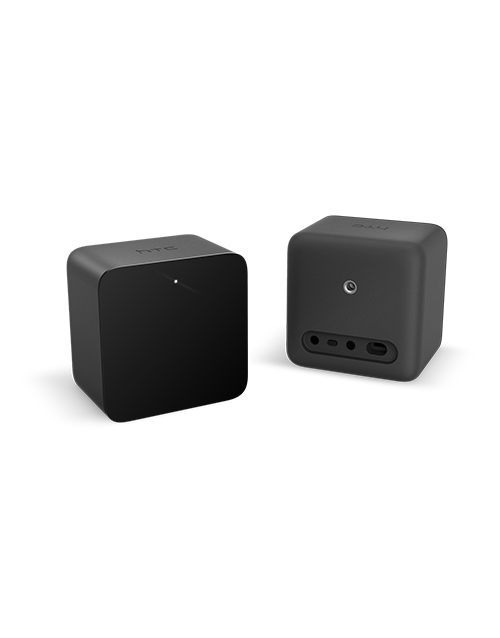 5 meter Leng..
Base Station - Powers the presence and immersion of room-scale virtual reality by helping the V.. 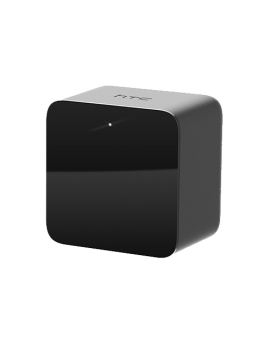 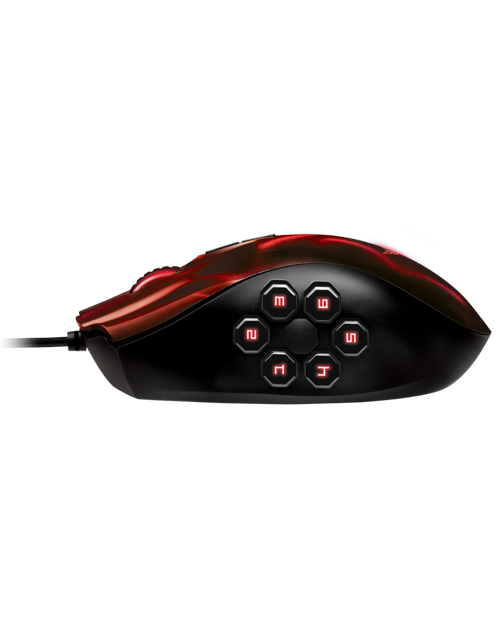 Controller - Lets you wirelessly interact and play with the virtual world. 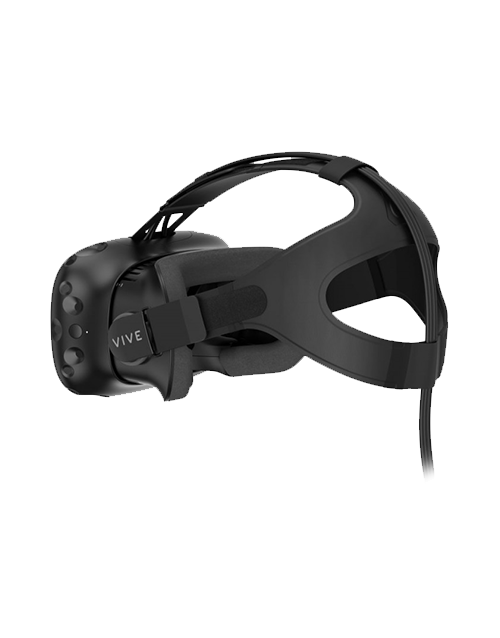 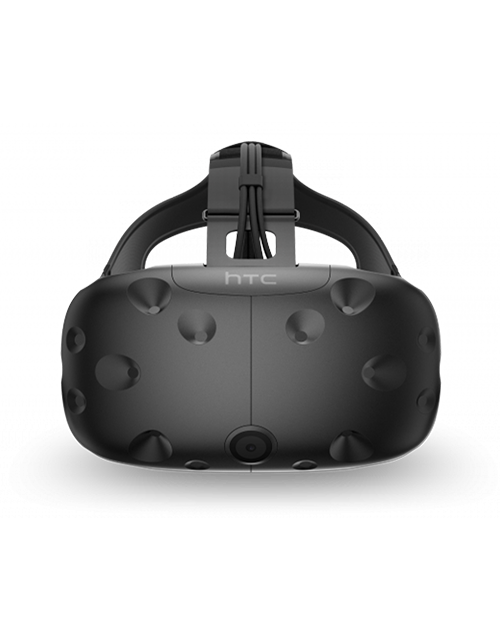 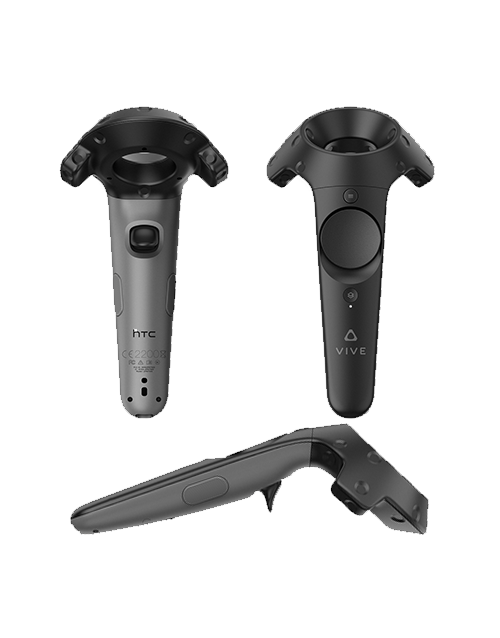 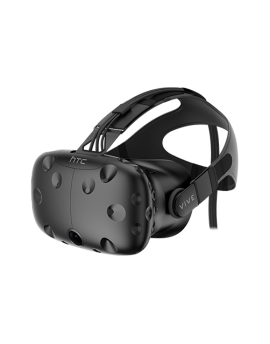 Features 24 sensors,..
Face Cushion - Set of 2 Interchangeable foam inserts for the Vive headset to keep your forehead a..
Link Box - The link between the Vive headset and your computer that makes the magic of virtual ..
HTC Vive Replacement Nose Rest - Set of 3 Interchangeable, rubber nose gaskets for the Vive heads..
USB Extension Cable - Connect USB peripherals to the headset. 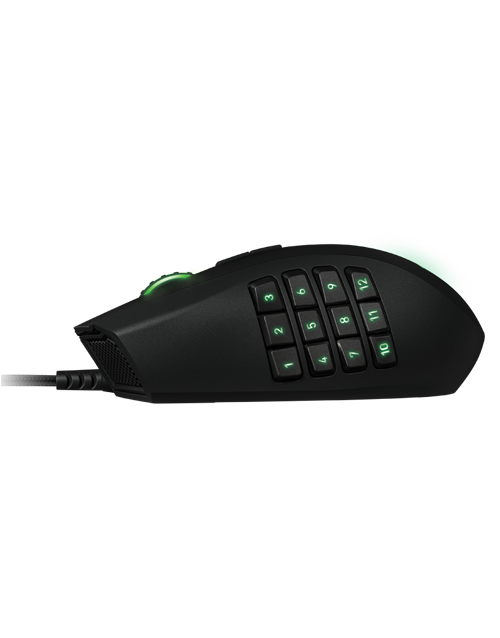 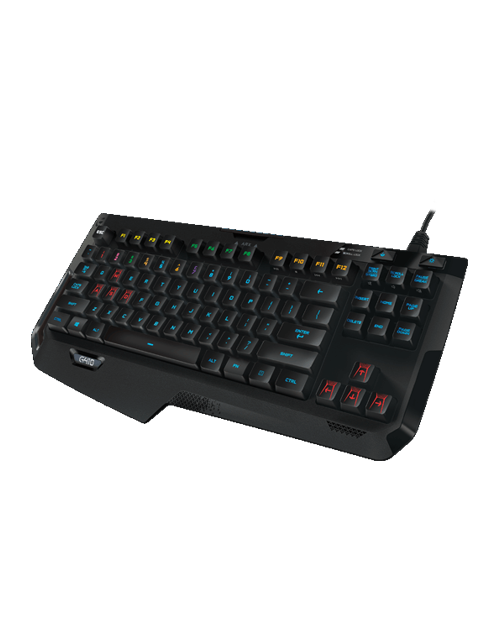 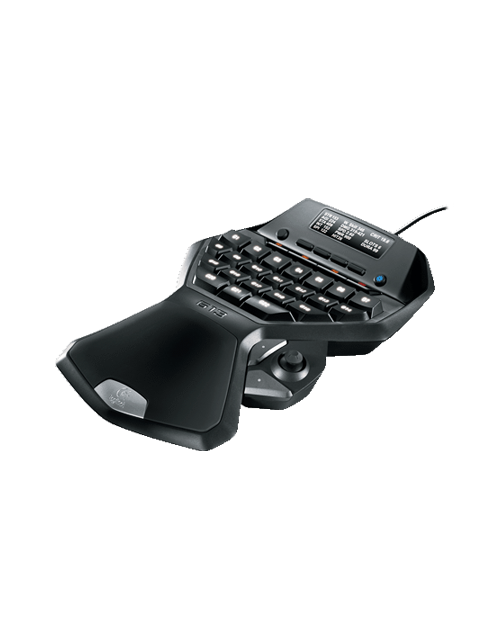 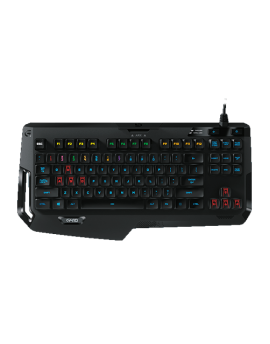 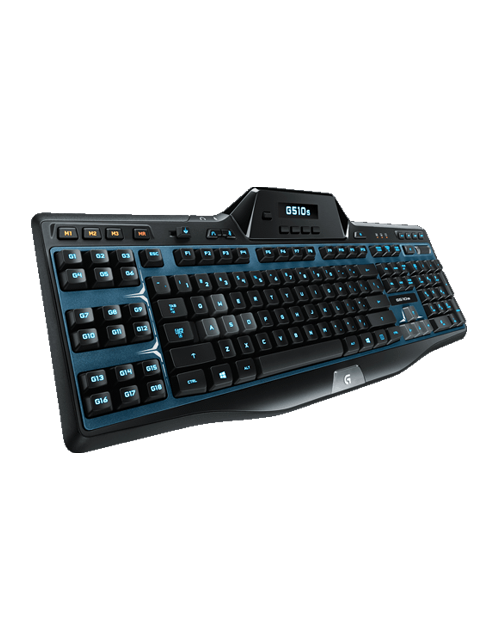 45 cm Lengh ..
G105 GAMING KEYBOARD When control is critical, KEYBOARD! 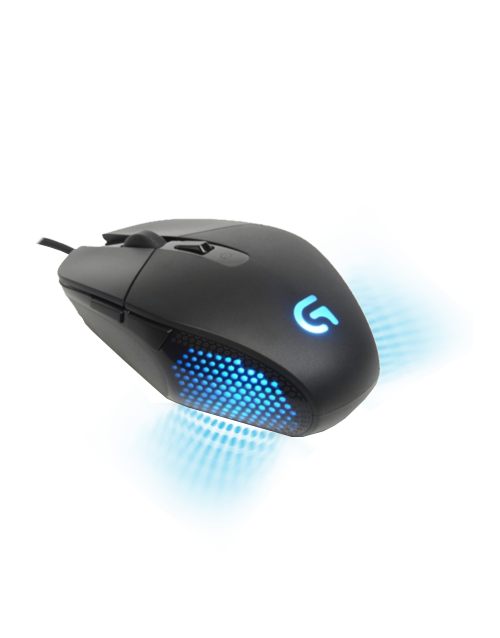 FEATURES LONG-LIFE LED BACKLIGHTI..
G13 ADVANCED GAMEBOARD Improved position. 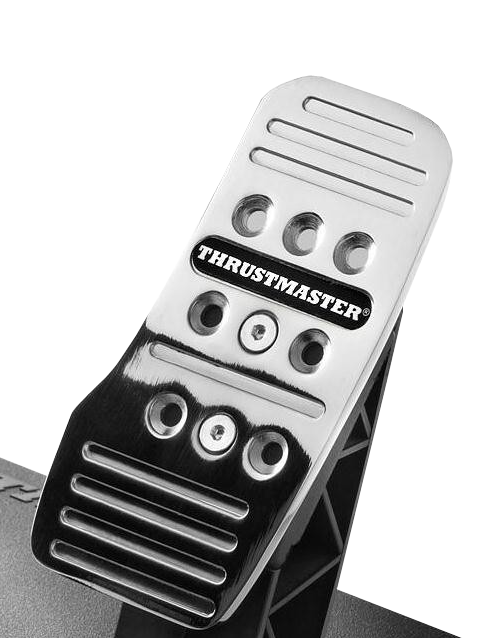 Increased control. 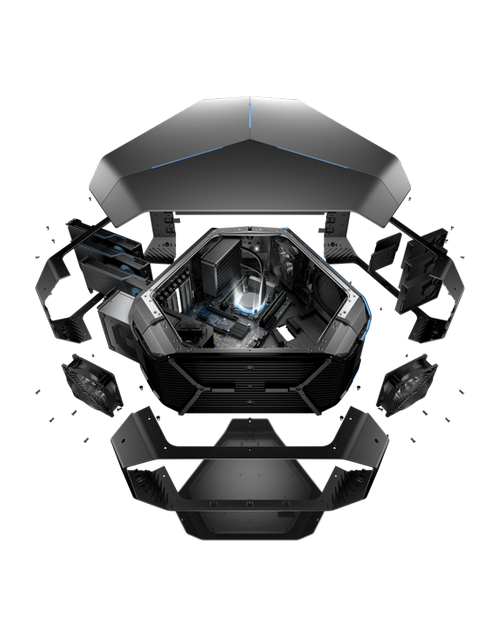 Advanced science. 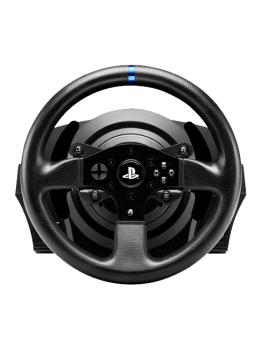 Unrivaled game. 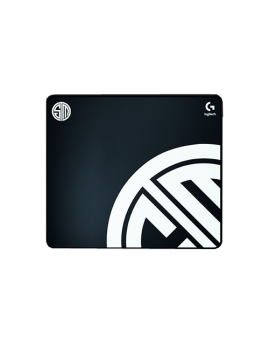 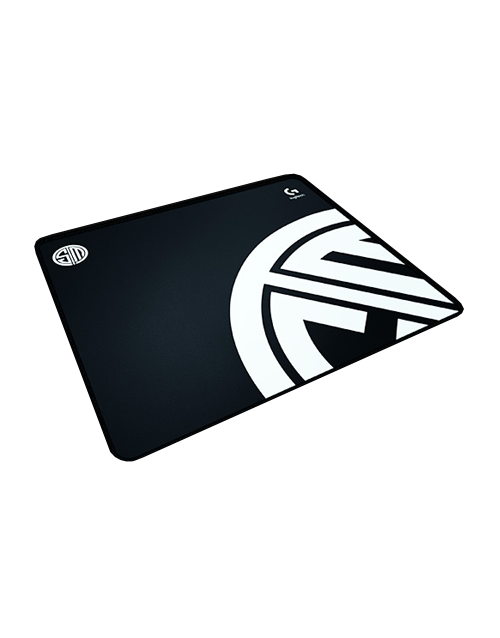 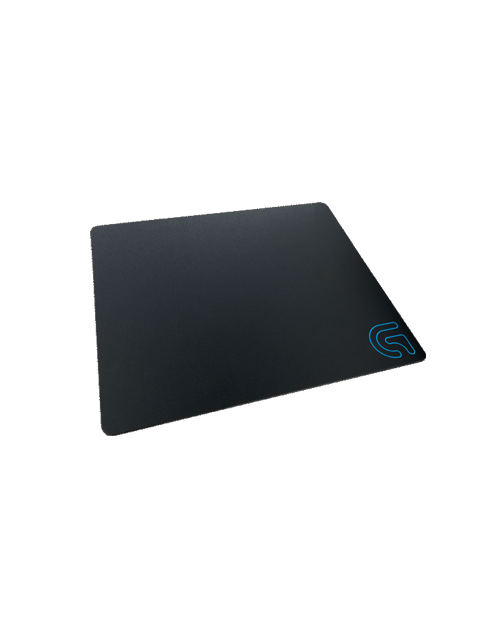 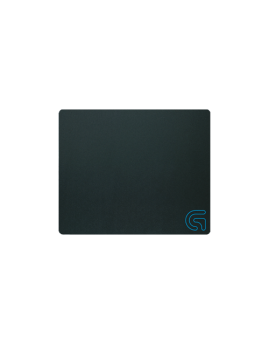 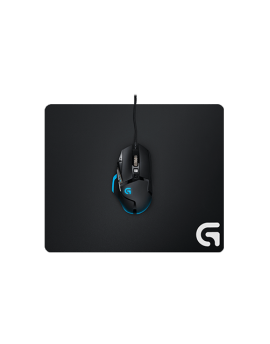 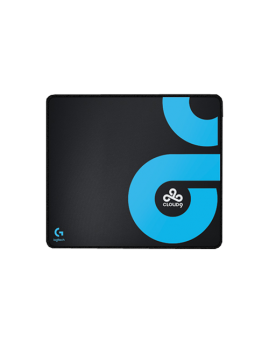 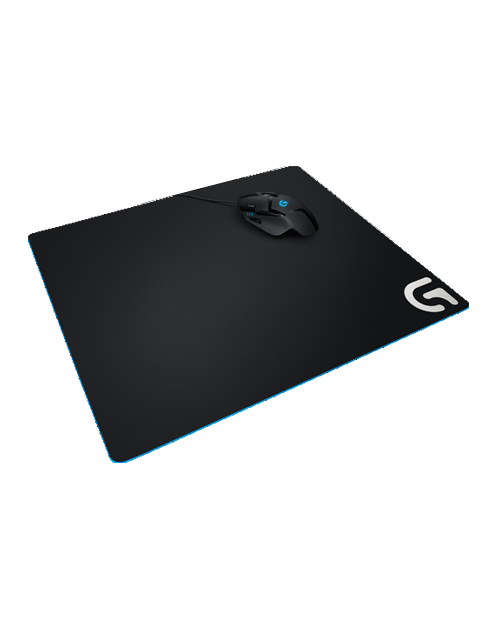 ..
G240 CLOTH GAMING MOUSE PAD Elevate your control. 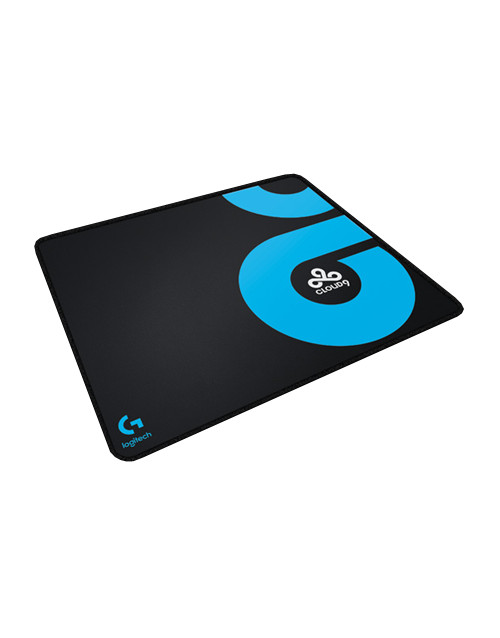 Elevate your game. 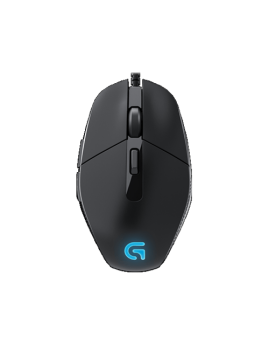 FEATURES MODERATE SUR..
G300S OPTICAL GAMING MOUSE Power and control in perfect symmetry FEATURES 9 PROGRAMMABLE C..
G302 DAEDALUS PRIME MOBA GAMING MOUSE FEATURES TUNED TO PRO-GAMERS SPECIFICATIONS Accurac..
G303 DAEDALUS APEX RGB PERFORMANCE EDITION GAMING MOUSE FEATURES ADVANCED OPTICAL SENSOR W..
G402 HYPERION FURY ULTRA-FAST FPS GAMING MOUSE The world’s fastest gaming mou..
G410 ATLAS SPECTRUM RGB TENKEYLESS MECHANICAL GAMING KEYBOARD FEATURES FAST AND DURABLE E..
G440 HARD GAMING MOUSE PAD High speed meets high precision. 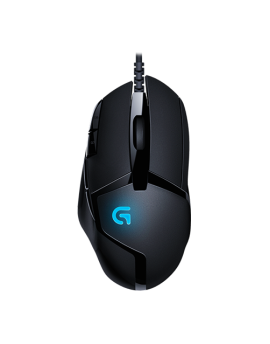 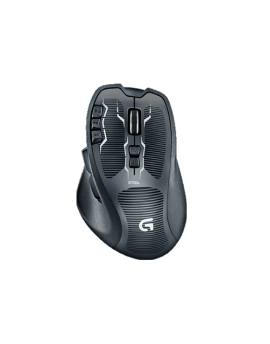 FEATURES LOW SURFACE FRICTION ..
G502 PROTEUS SPECTRUM RGB TUNABLE GAMING MOUSE FEATURES ACCURATE RESPONSIVE OPTICAL SENSOR ..
G510S GAMING KEYBOARD There’s no such thing as too much keyboard. 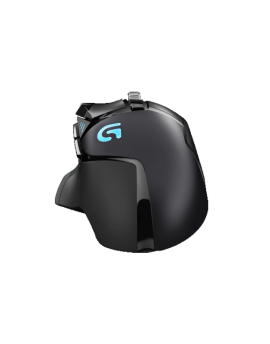 FEATURES GAMEPANEL LCD* ..
G600 MMO GAMING MOUSE Complete control in your favorite MMOs FEATURES 20 MMO-TUNED BUTTONS ..
G602 WIRELESS GAMING MOUSE 250 hours of non-stop gaming. 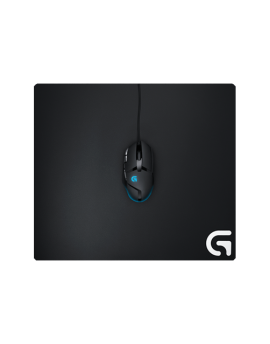 Your move. 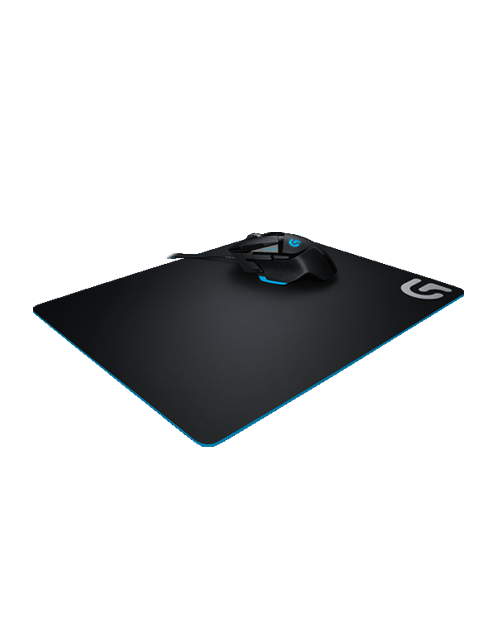 FEATURES ENDURING BATTER..
G633 ARTEMIS SPECTRUM RGB 7.1 SURROUND SOUND GAMING HEADSET FEATURES SUPERIOR SOUND PER..
G640 LARGE CLOTH GAMING MOUSE PAD FEATURES MODERATE SURFACE FRICTION Crafted f..
G640 CLOUD9 LARGE CLOTH GAMING MOUSE PAD Team Cloud9 – Play large FEATURES PLAY LIKE YOUR ..
G640 TEAM SOLOMID LARGE CLOTH GAMING MOUSE PAD Team SoloMid - Performance Gaming Mouse Pad &nbs..
G700S RECHARGEABLE GAMING MOUSE Wireless freedom, wired performance FEATURES DATA OVER CAB..
G933 ARTEMIS SPECTRUM WIRELESS 7.1 SURROUND SOUND GAMING HEADSET PRO-G™ AUDIO DRIVERS FOR SUPER..
MSI GS32 6QE Shadow + Gaming dock Windows 10 Home/Windows 10 Pro 6th Gen. Intel® Core™ i7 pr..
MSI GS40 6QD Phantom Windows 10 Home/Windows 10 Pro Latest 6th Gen. Intel® Core™ i7 processo..
MSI GS70 6QC Stealth Windows 10 Home/Windows 10 Pro Latest 6th Gen. Intel® Core™ i7 processo..
MSI GS70 6QE Stealth PRO Windows 10 Home/Windows 10 Pro Latest 6th Gen. Intel® Core™ i7..
MSI GS72 6QE Stealth PRO 4K Windows 10 Home/Windows 10 Pro Latest 6th Gen. Intel® Core™ i7 p..
MSI GT72 6QD Dominator G Windows 10 Home / Windows 10 Pro Latest 6th Gen. Intel® C..
MSI GT72 6QE Dominator PRO G Windows 10 Home / Windows 10 Pro Latest 6th Gen. Intel® Co..
MSI GT72S 6QD Dominator G Windows 10 Home / Windows 10 Pro Latest 6th Gen. Intel® Core™..
MSI GT72 6QD DOMINATOR G TOBII Windows 10 Home / Windows 10 Pro Latest 6th Gen. Intel® ..
MSI GT72S 6QE Dominator PRO G Windows 10 Home / Windows 10 Pro Latest 6th Gen. Intel® Core™ ..
MSI GT72S 6QE DOMINATOR PRO G TOBII Windows 10 Home / Windows 10 Pro Latest 6th Ge..
MSI GT80S 6QE Titan SLI Windows 10 Home / Windows 10 Pro Latest 6th Gen. Intel® Core™ i7 pro.. 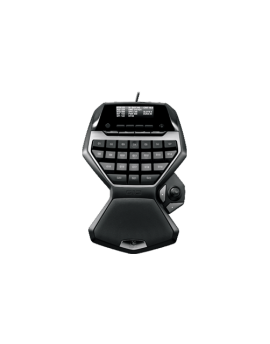 Features Highly tactile ergonomic buttons 3500dpi optical sensor Textured surface side gri.. 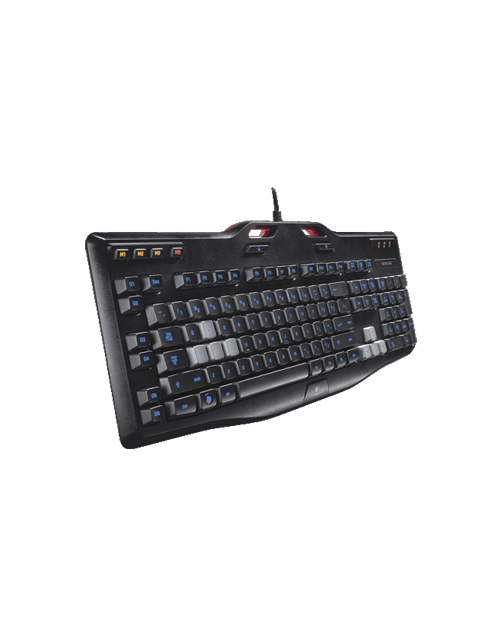 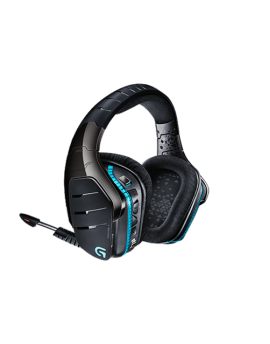 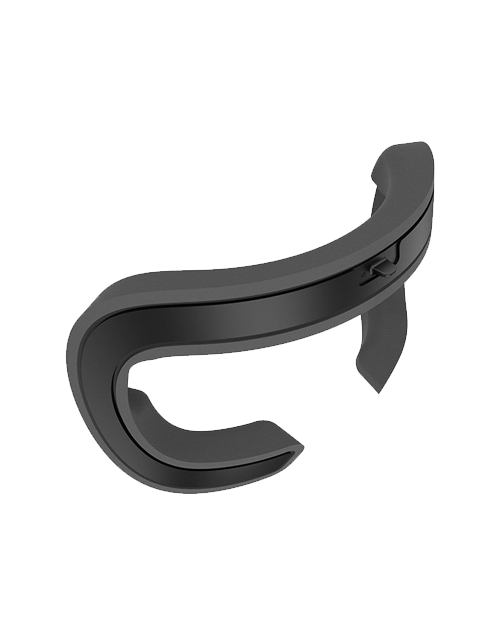 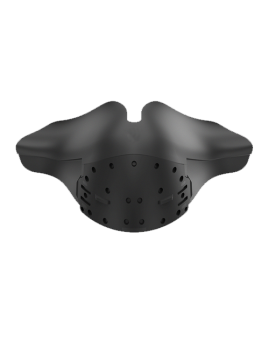 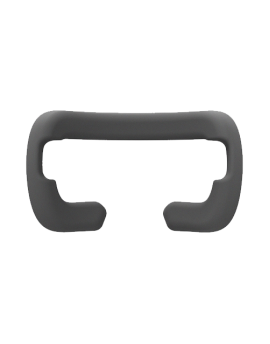 Features PRESS AWARDS & REVIEWS The ergonomic shape, favored by top eSports athletes U.. 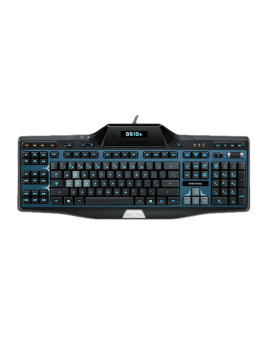 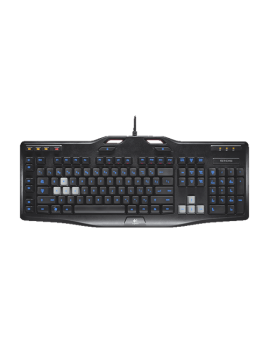 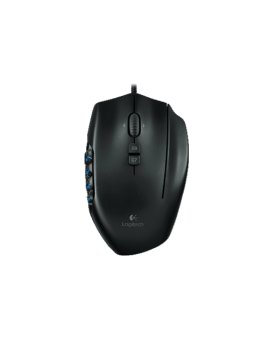 Features Ergonomic right-handed design 6400dpi 4G Optical Sensor Counter Logic Gaming excl.. 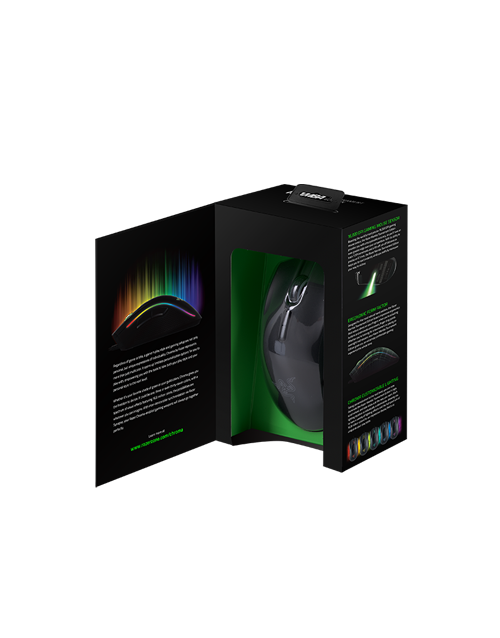 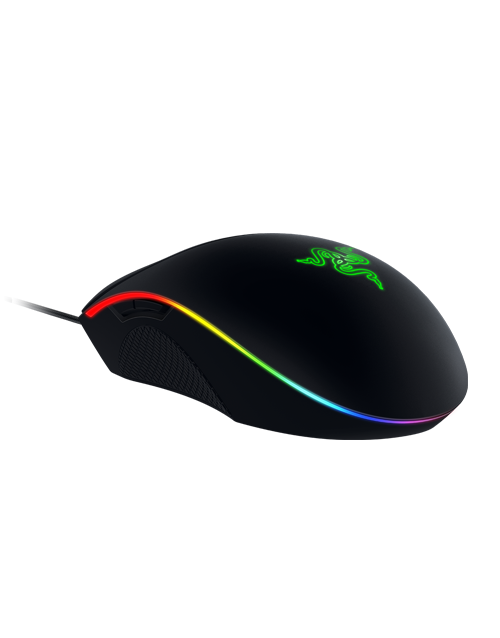 Features Chroma lighting with true 16.8 million customizable colors Side buttons for more sk.. 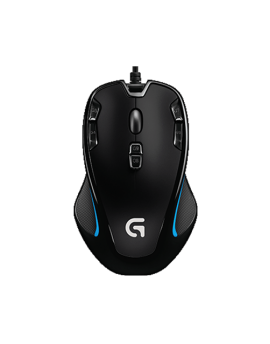 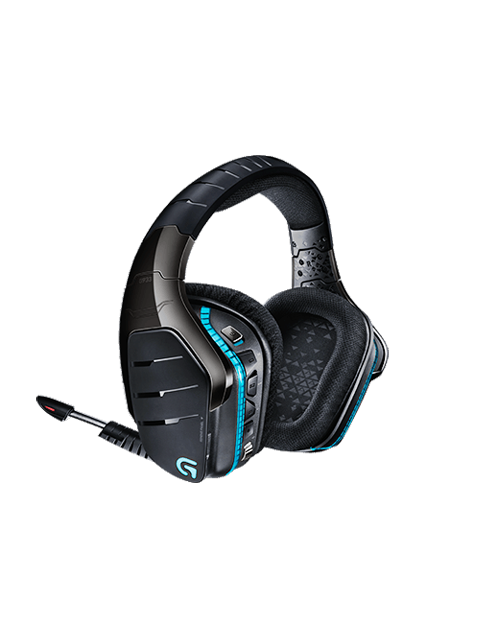 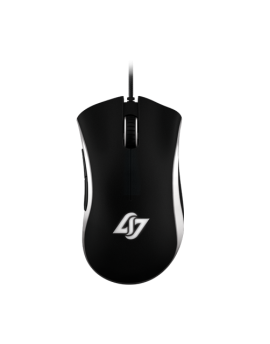 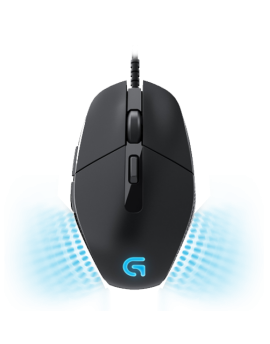 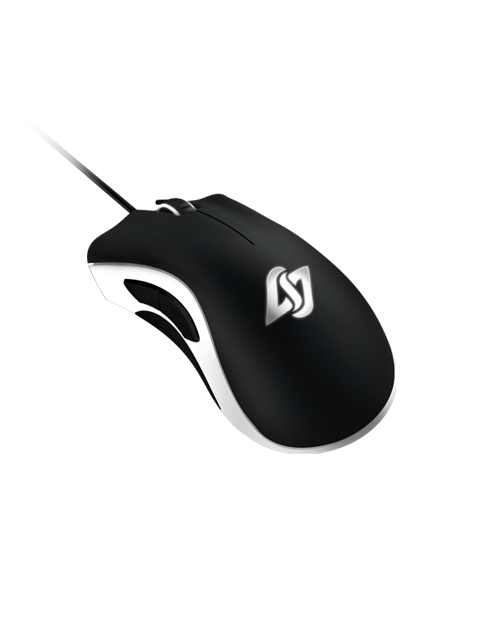 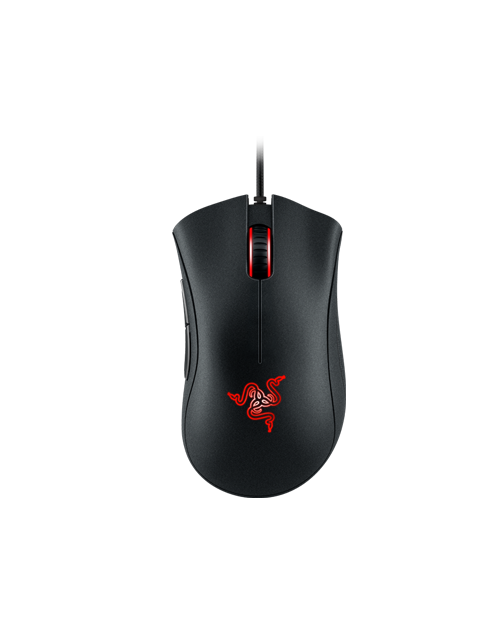 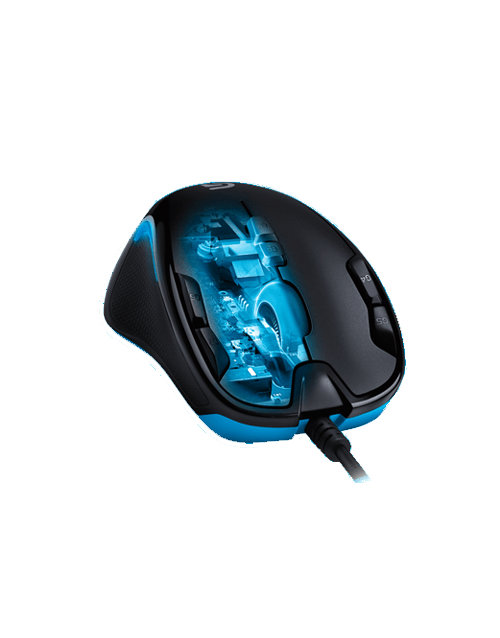 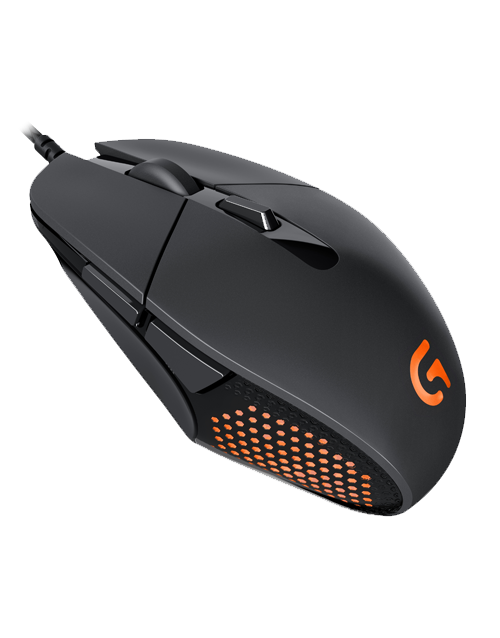 Features The world’s most precise gaming mouse sensor with 16,000 DPI Revolutionary Adjustab.. 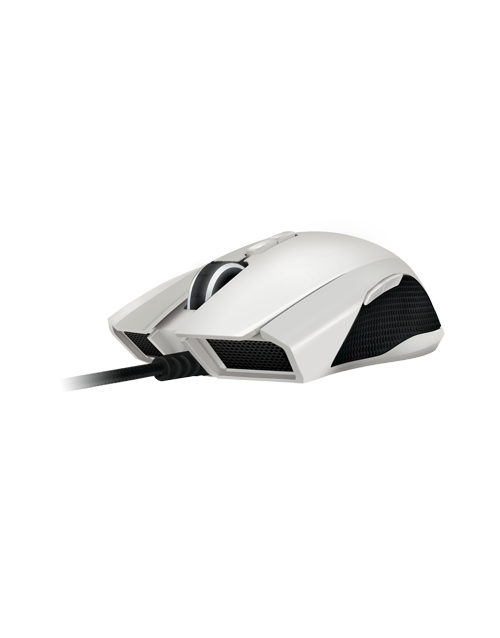 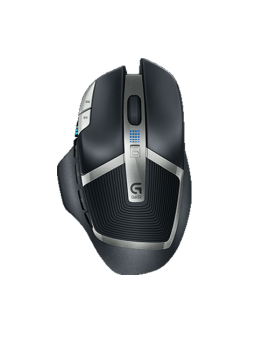 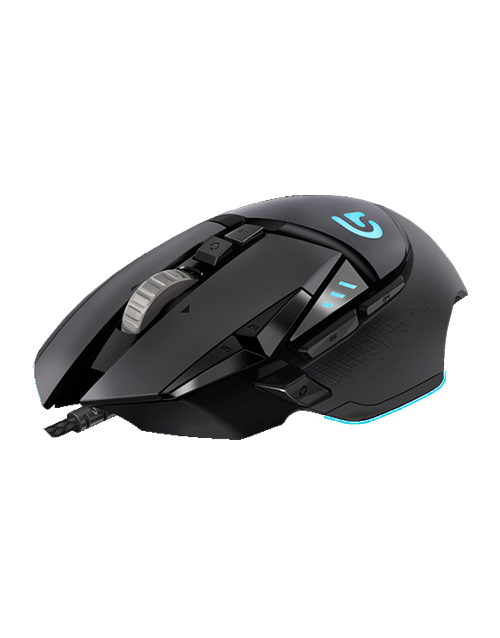 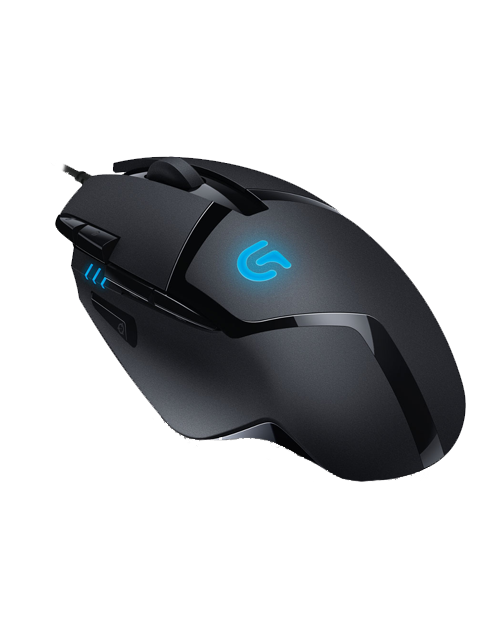 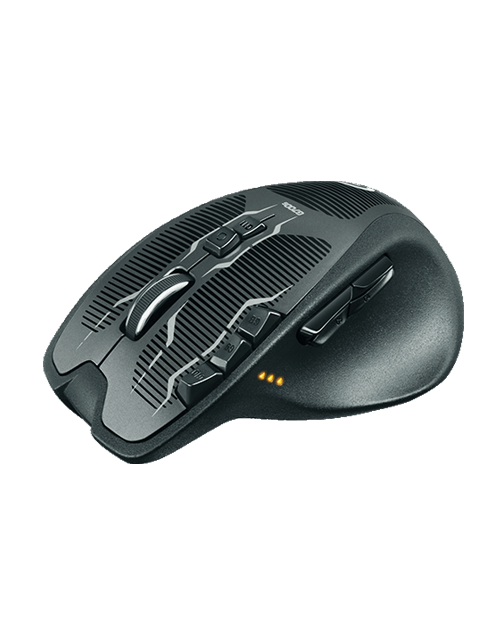 Features The world’s most precise gaming mouse sensor with 16,000 DPI Ergonomic form factor .. 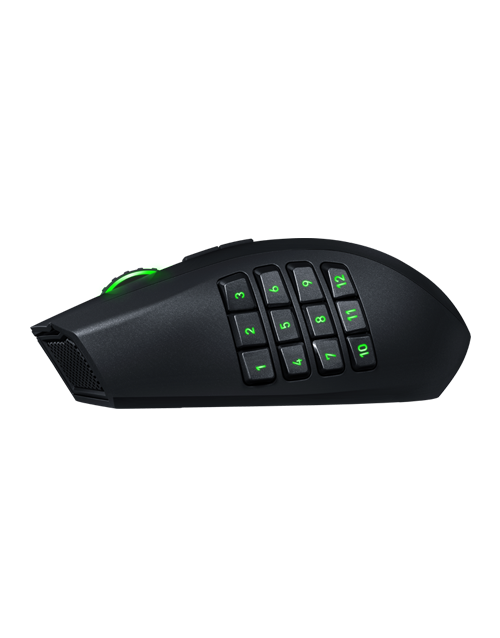 Available for either Left Handed and Right Handed gamers, Please selected a model: Left handed .. 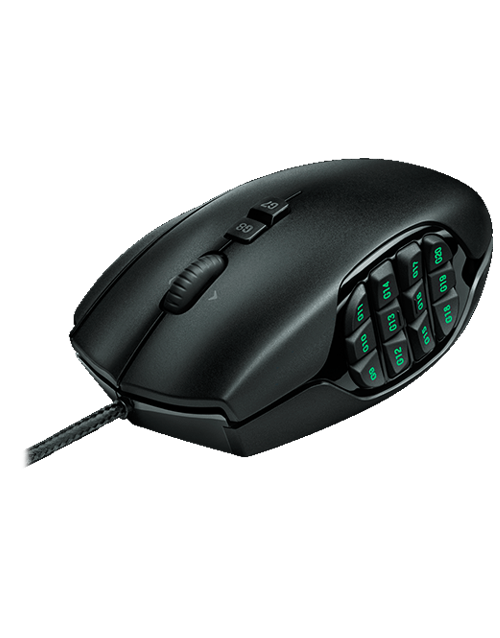 Features 8200dpi 4G laser sensor Scroll wheel ARM 32-bit processor Hyperesponse buttons .. 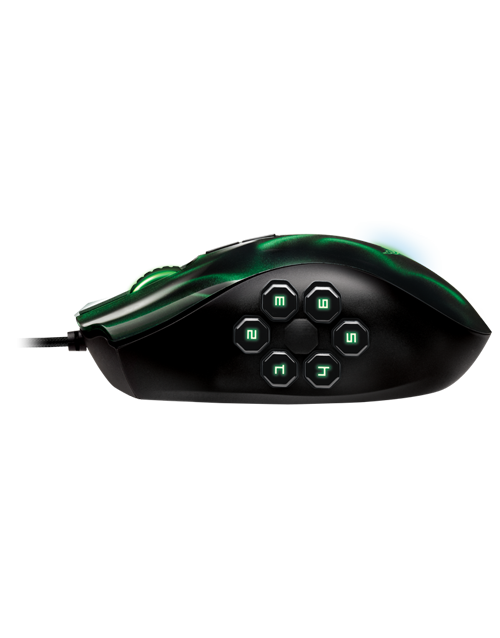 Features 6 MOBA/action-RPG optimized mechanical thumb buttons High performance buttons up to.. 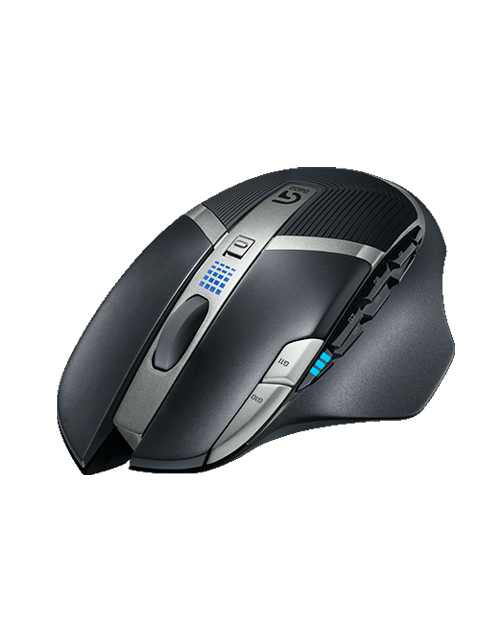 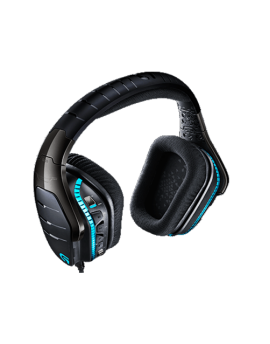 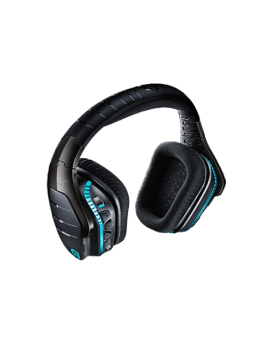 Features Dual wired/wireless Bluetooth technology for unrestricted movement 8,200 DPI laser .. 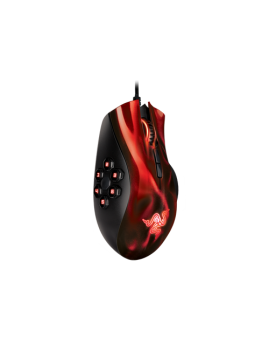 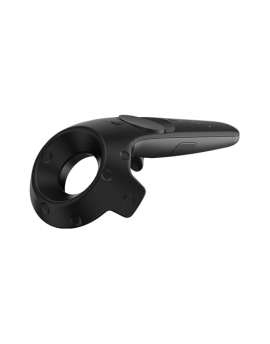 Features Fully Customizable Ambidextrous Ergonomics 8200dpi 4G Laser Sensor Dual gaming-gr.. 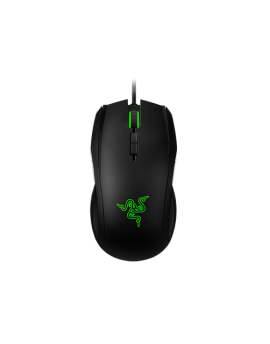 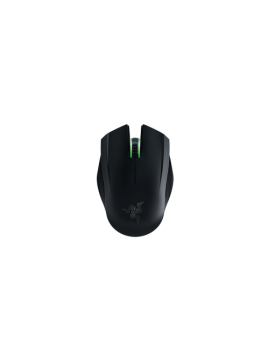 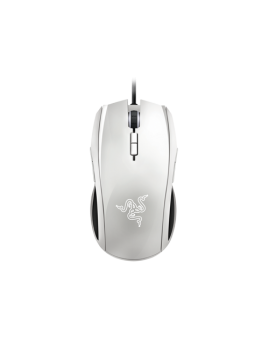 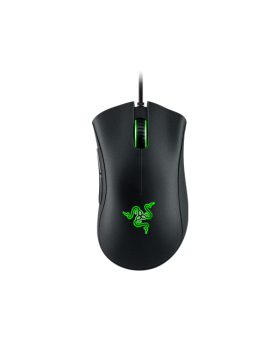 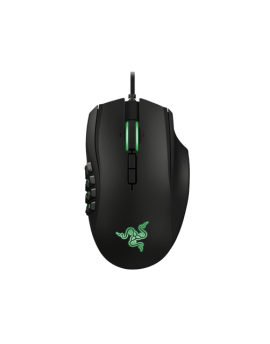 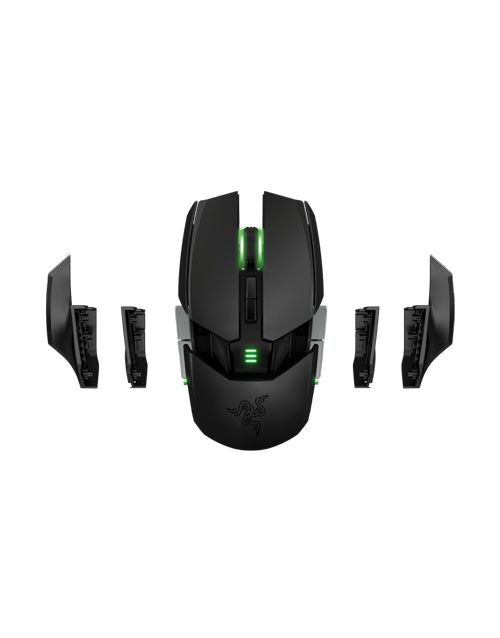 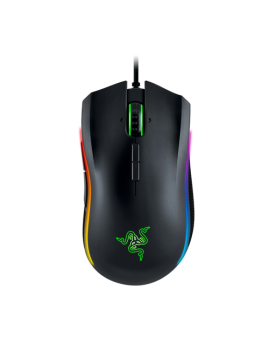 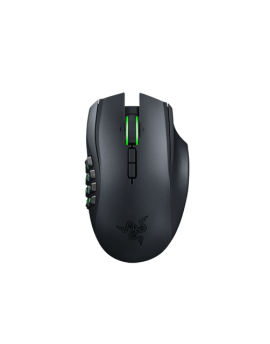 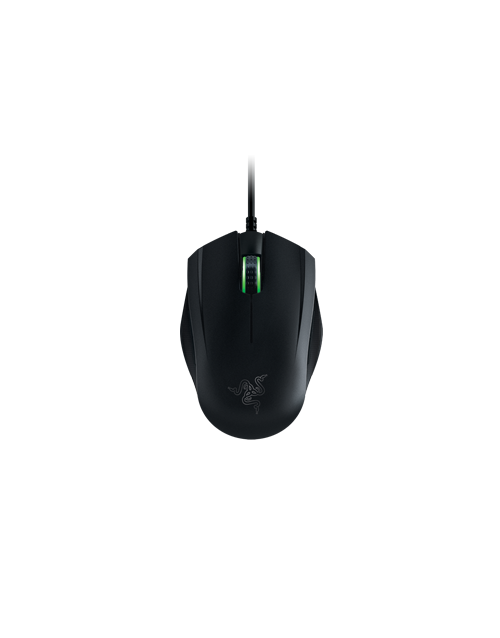 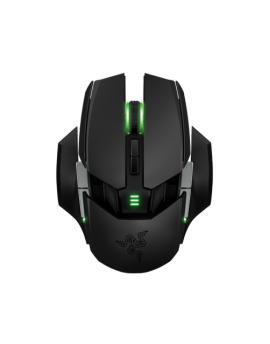 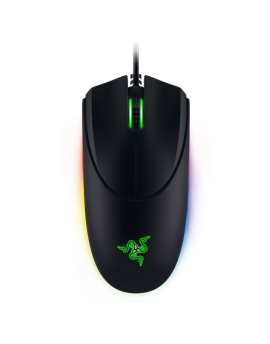 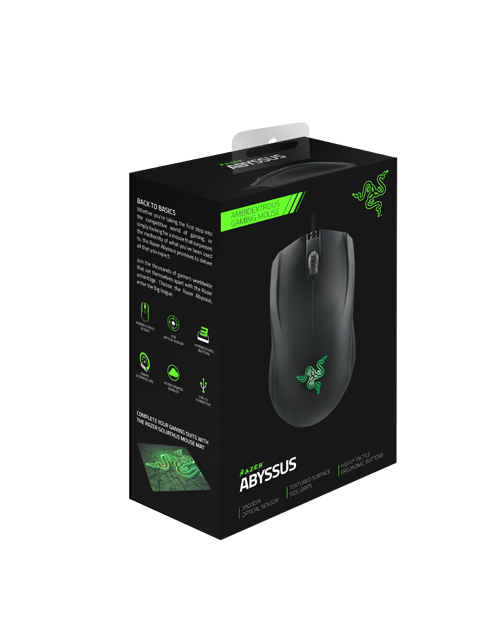 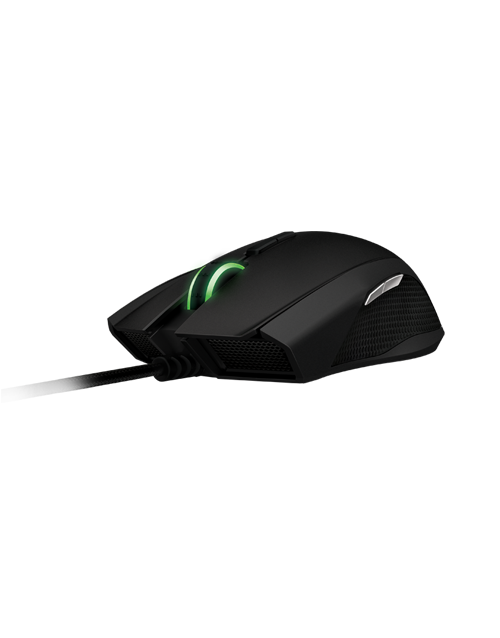 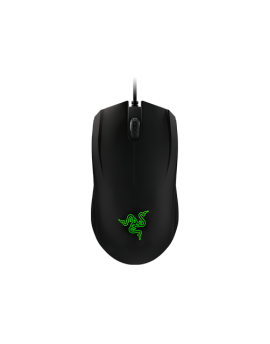 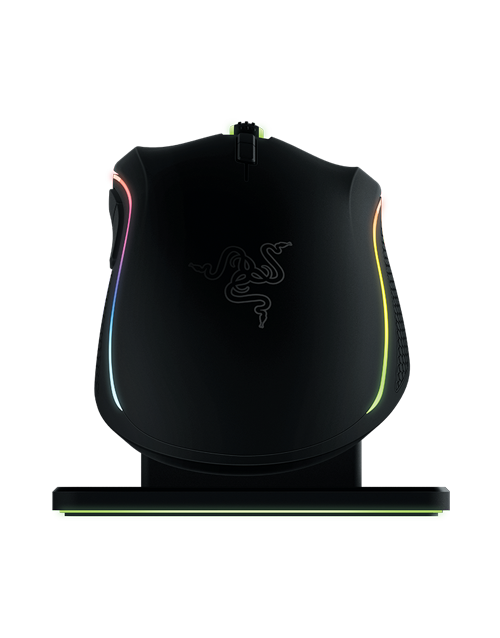 Features 8200dpi 4G laser sensor Side buttons for more ways to kill Razer Synapse The .. 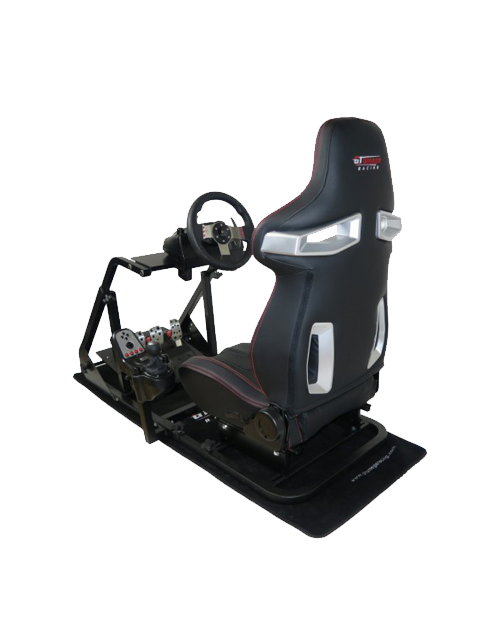 Features 8200dpi 4G laser sensor Ambidextrous form factor Razer Synapse enabled 9 progra..
GT OMEGA ART RACING SIMULATOR COCKPIT - RS6 SEAT Unveil the New GT Omega Art Racing Simulator, th..
Collector’s item!! 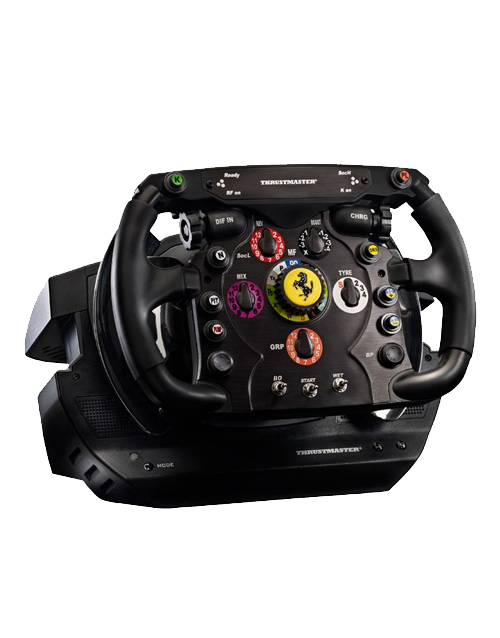 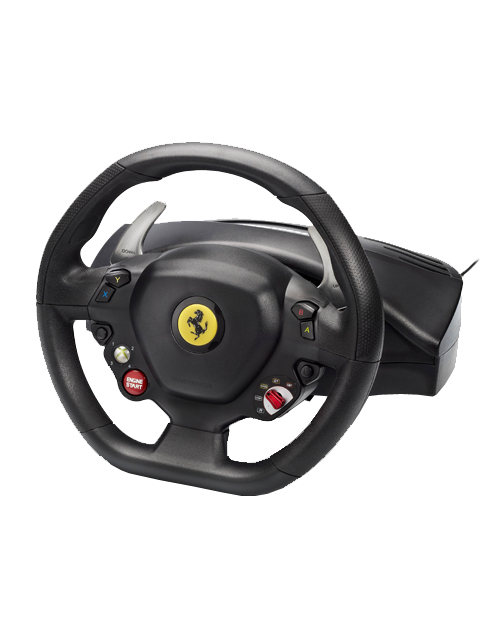 THE detachable 11.8”/30 cm wheel, with genuine Alcantara®– FERRARI 599XX EVO repl.. 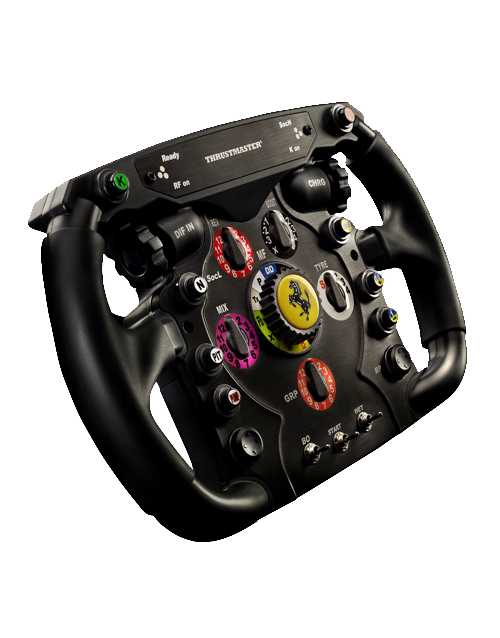 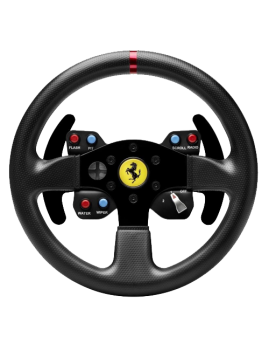 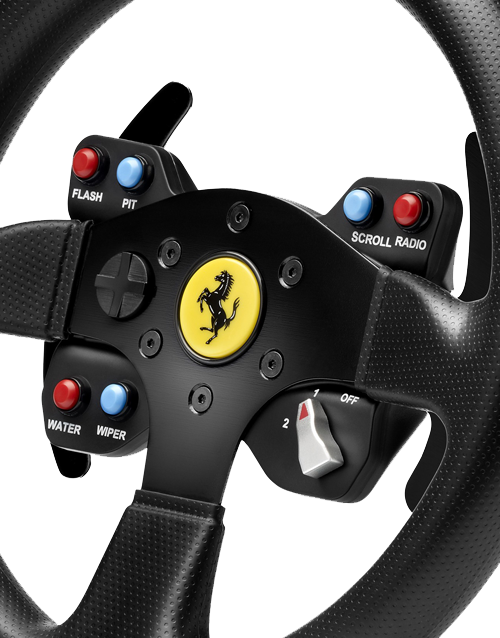 Replica of the “Ferrari 458 Italia” wheel. 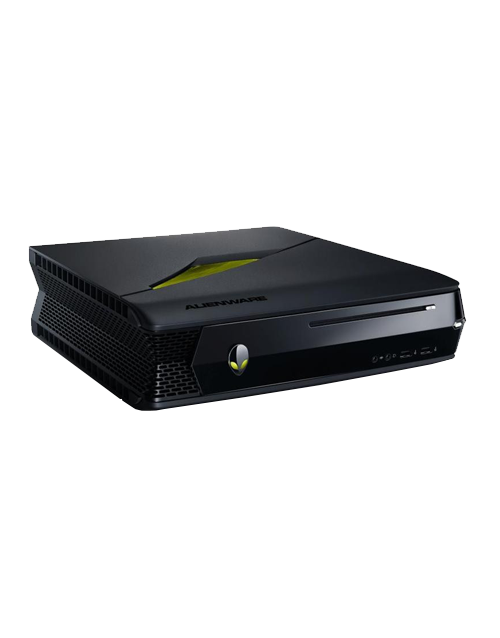 For the first time ever on Xbox 360®! 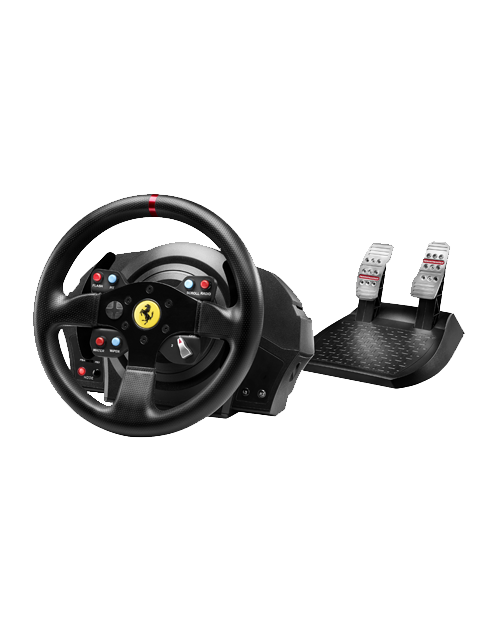 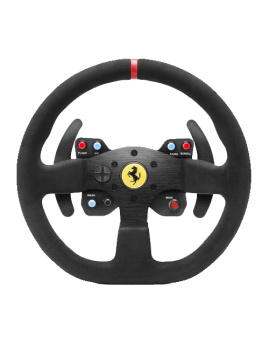 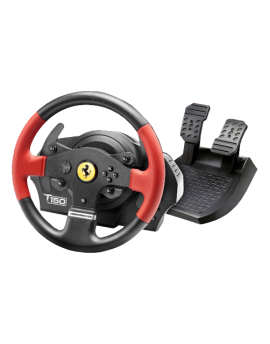 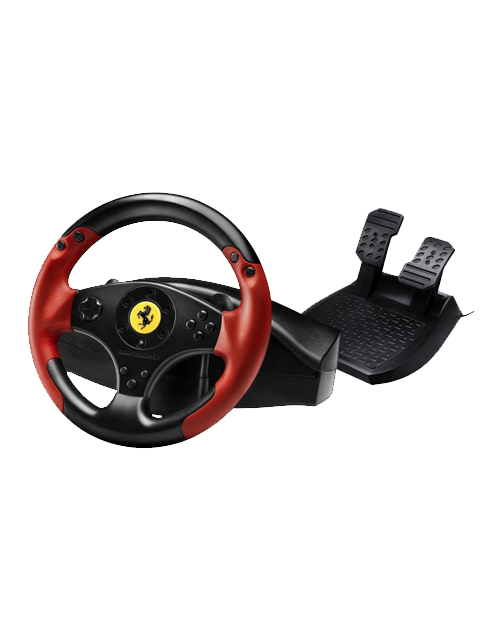 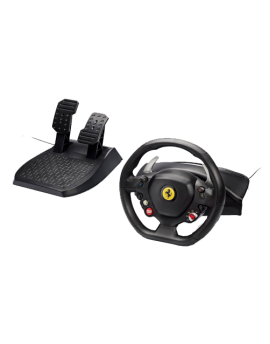 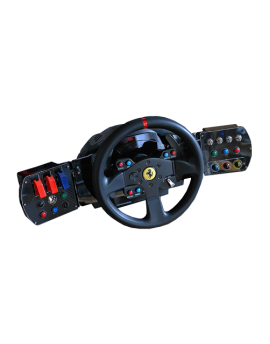 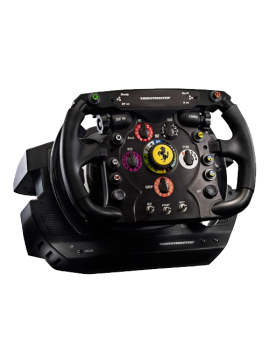 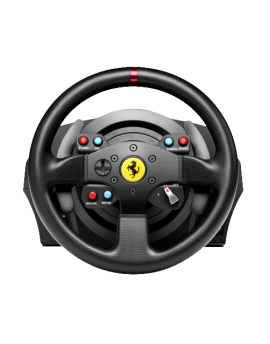 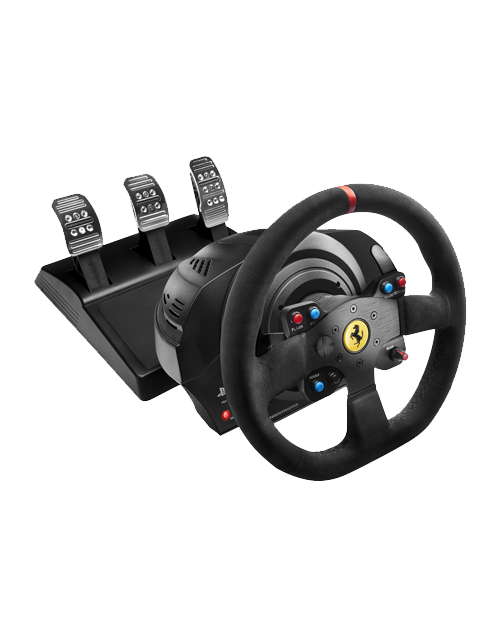 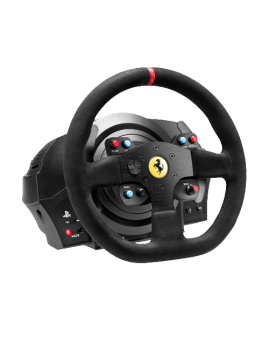 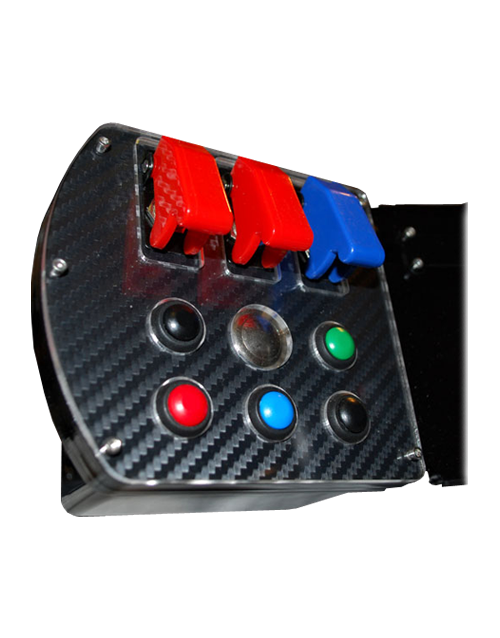 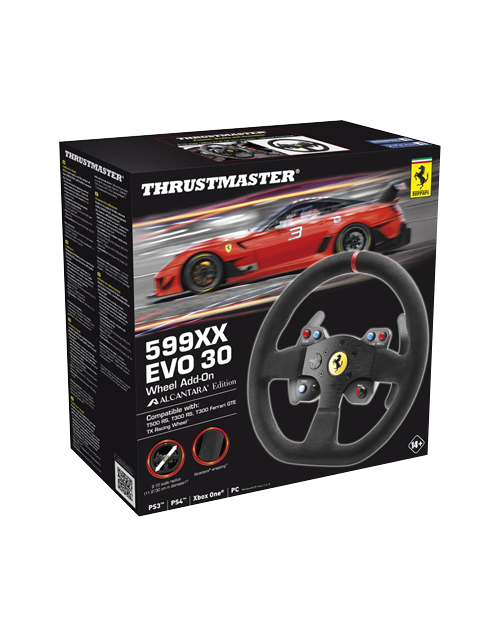 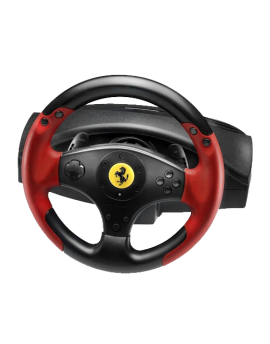 Details The wor..
Detachable add-on wheel to use with T500 RS, T300RS, T300 Ferrari GTE, TX Racing Wheel Ferrari 458 I..
Includes the Ferrari F1 Racing Wheel and the T500RS Racing Wheel base & foot pedals ..
Detachable FERRARI 458 CHALLENGE replica wheel Details Realistic 458 CHALLENGE replica wheel, o.. 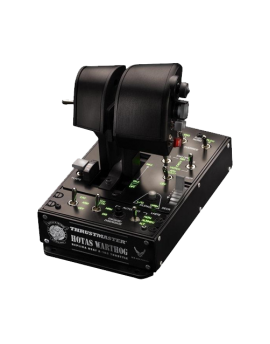 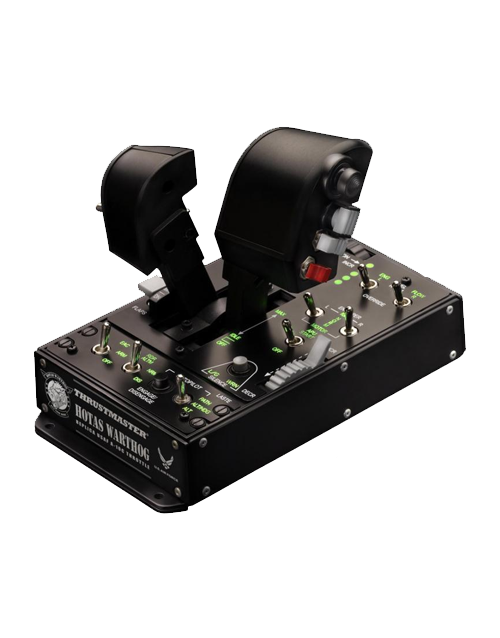 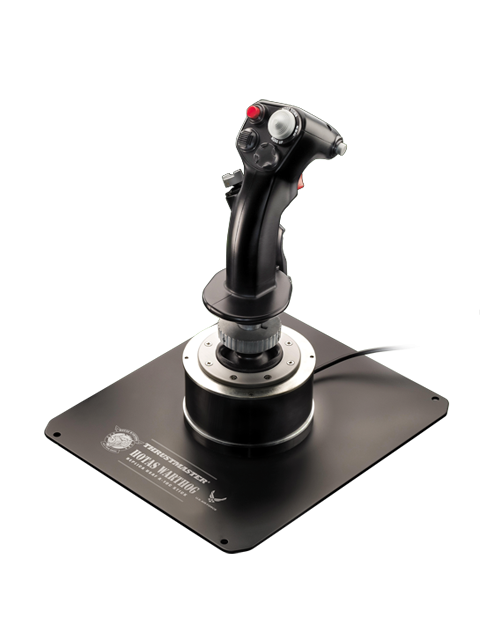 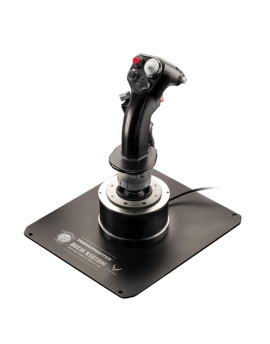 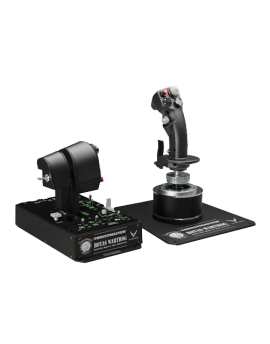 The exclusive “Red Legend” edition of the best-selling racing wheel, compatible with the ultimate ra..
U.S. Air Force-licensed A-10C dual replica throttles* + built-in replica control panel, for use with..
Stand-alone HOTAS™ Warthog* joystick, from the creator of the original HOTAS** concept and the world.. 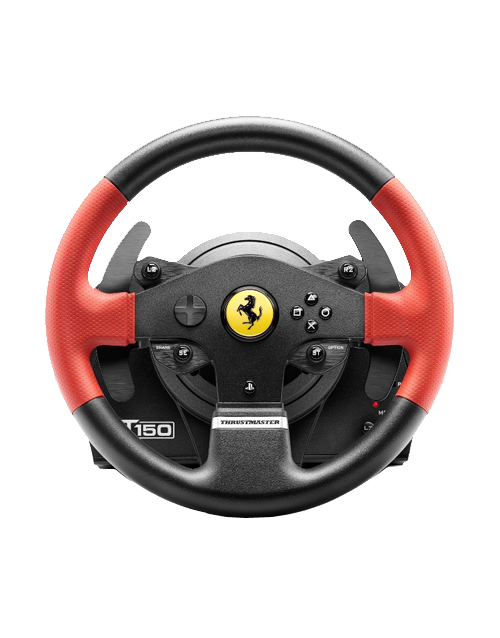 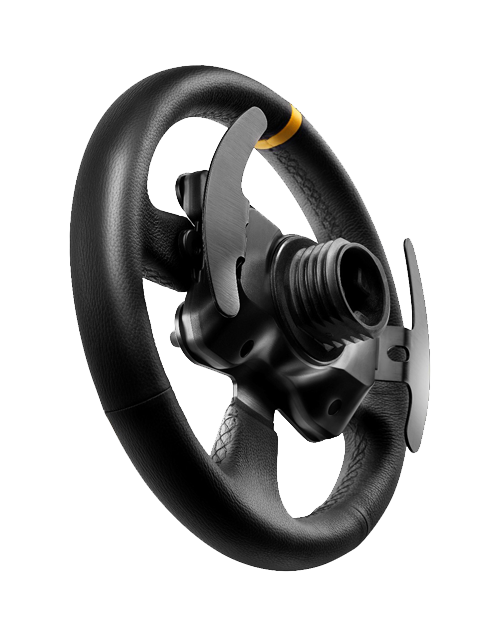 The detachable GT-style wheel crafted with hand-stitched leather, compatible with all Thrustmaster T..
OFFICIAL RACING SIMULATOR FOR PLAYSTATION®4 and PLAYSTATION®3 (also compatible with PC) * 1080° forc..
A new concept in simulator controls, the wheel based dashboard is a superior and immersive, yet simp..
Thrustmaster T300 Ferrari GTE Wheel: the FIRST official Force Feedback 1080° simulator for PC racing.. 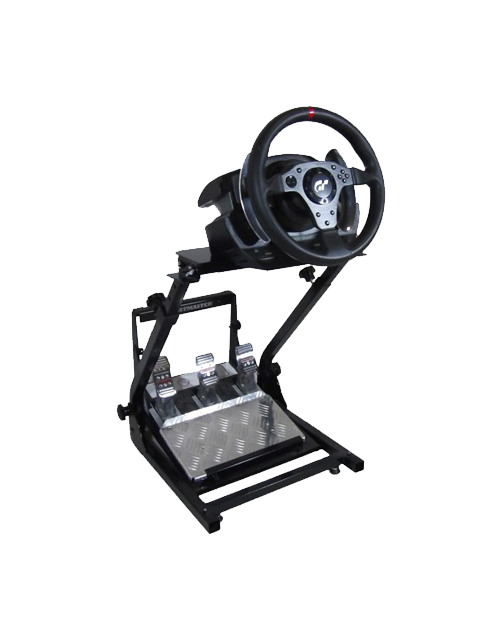 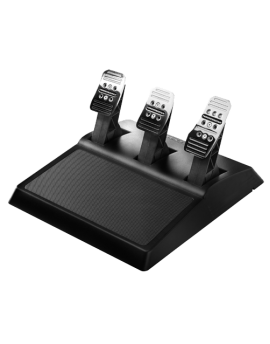 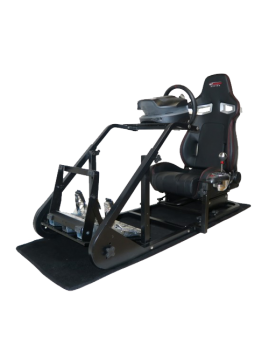 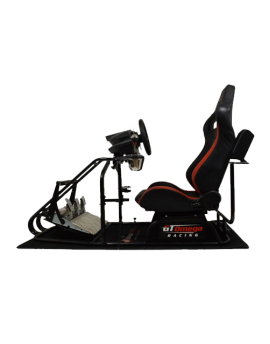 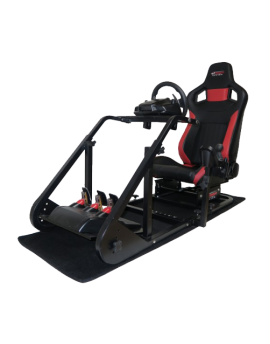 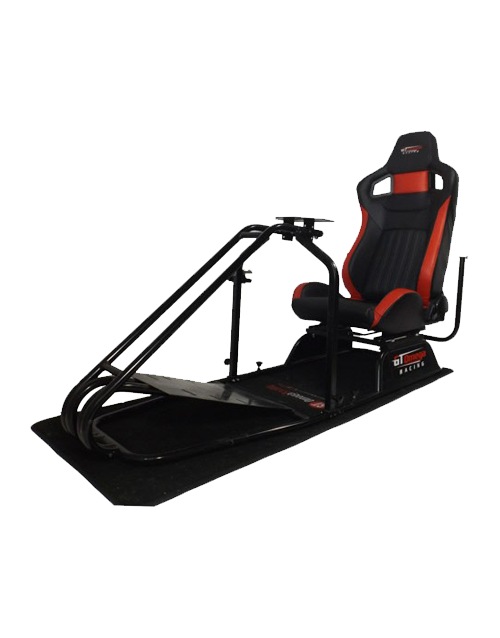 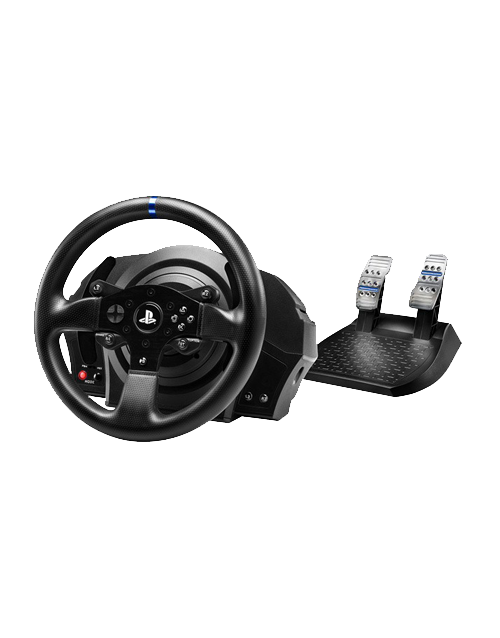 The next-gen force feedback racing simulator for PlayStation®4 and PlayStation®3 (also compatible wi..
1080° NEXT-GEN FORCE FEEDBACK RACING SIMULATOR BASE FOR PLAYSTATION®4, PLAYSTATION®3 AND PC. 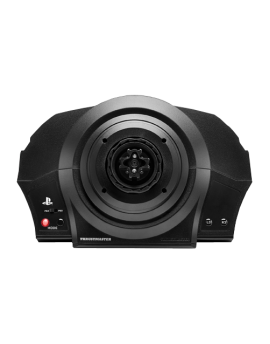 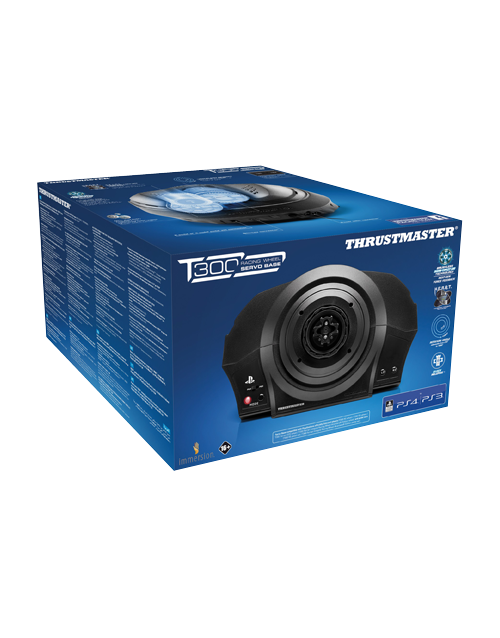 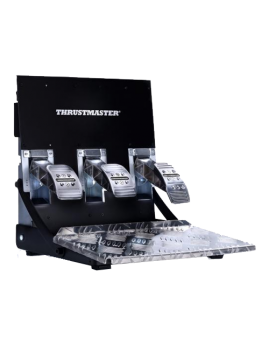 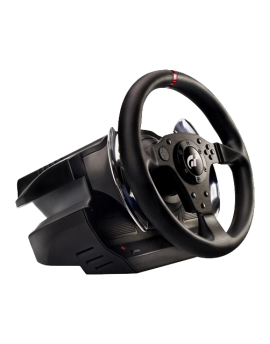 Deta..
Thrustmaster T300 RS: 1080° and the FIRST official Force Feedback wheel for PlayStation®4. 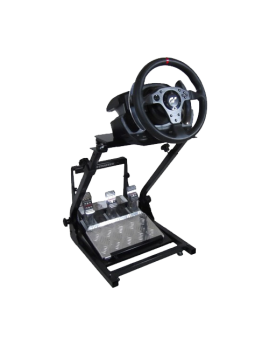 Detail..
3-pedal wide pedal set for T-SERIES Racing Wheels -100% metal pedals and internal structure -Ful.. 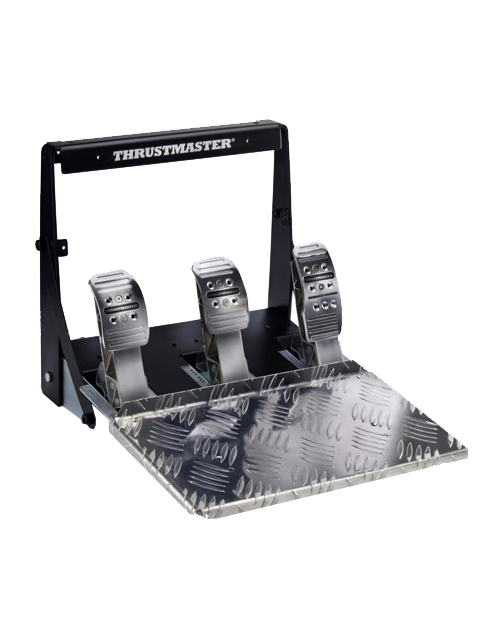 REALISTIC, HIGH-END 3-PEDAL PEDAL SET 2 different positions (floor-mounted or suspended) 100% metal .. 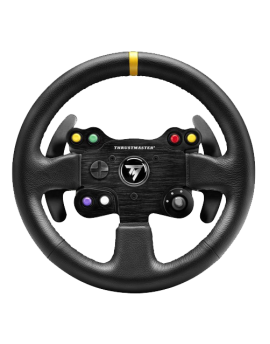 The new benchmark force feedback wheel! 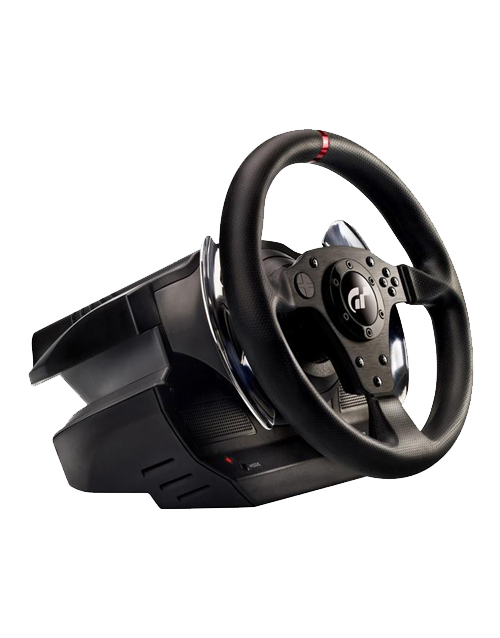 Realistic Simulator, with official GRAN TURISMO®6 & Play..